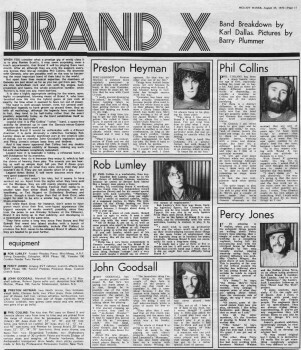 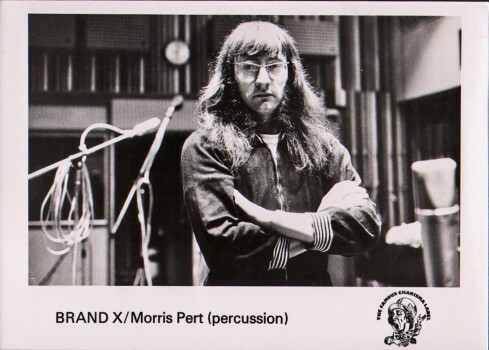 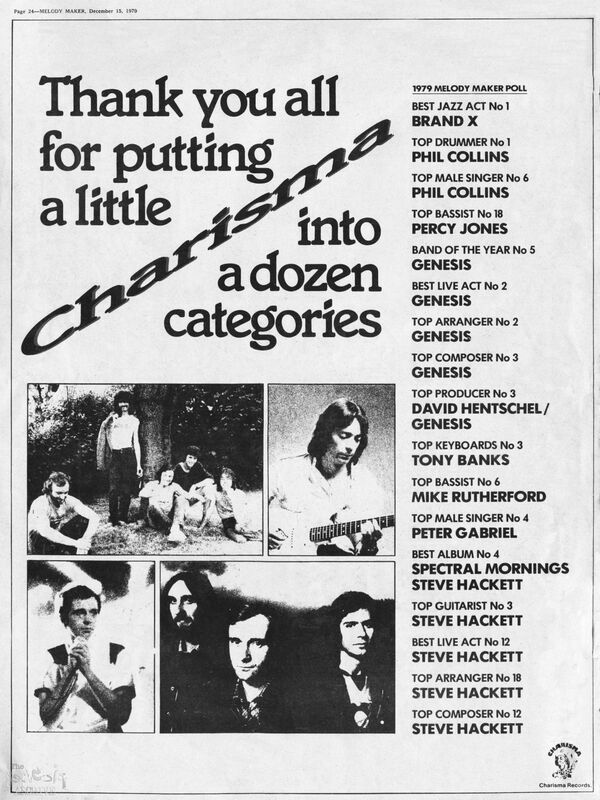 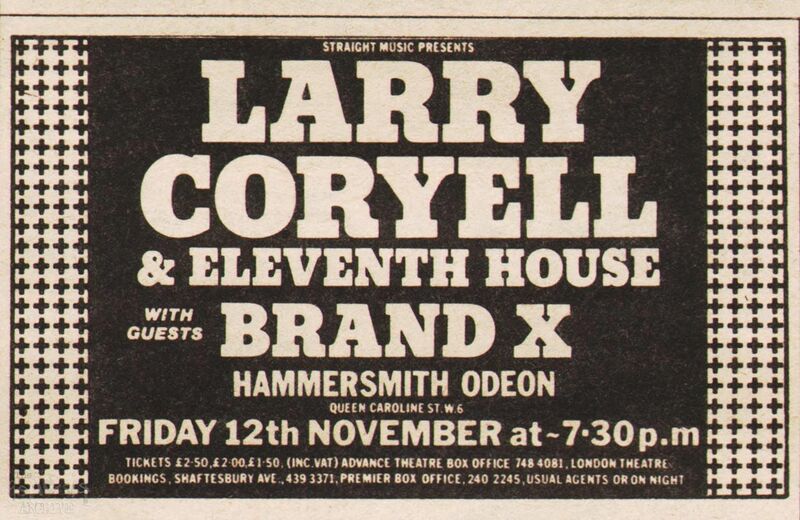 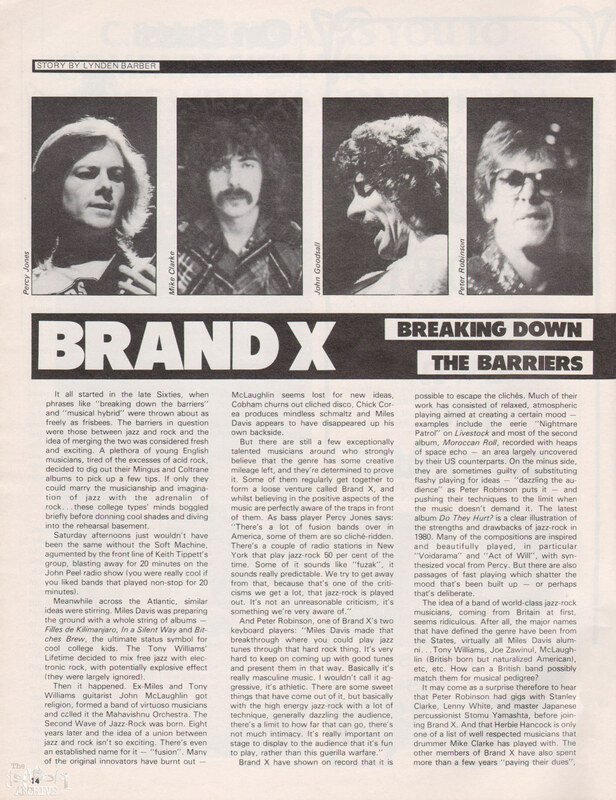 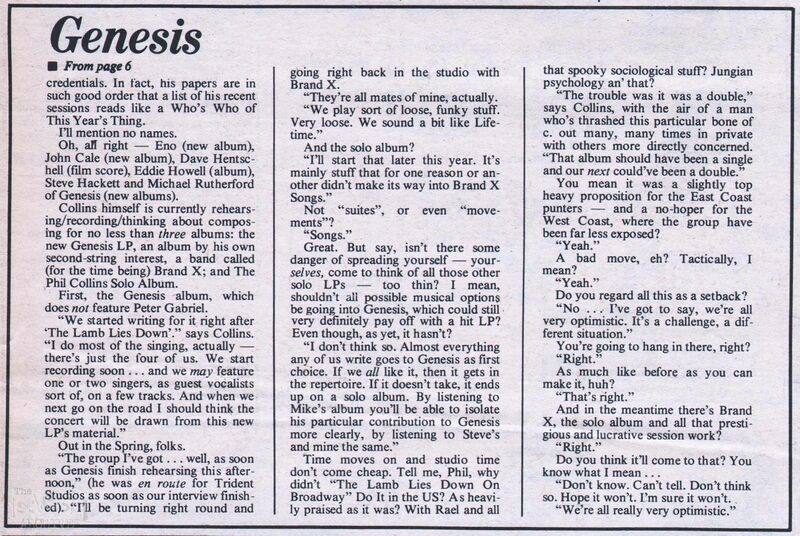 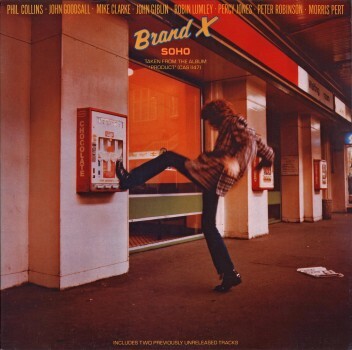 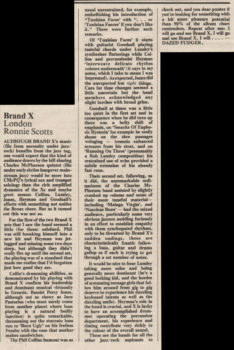 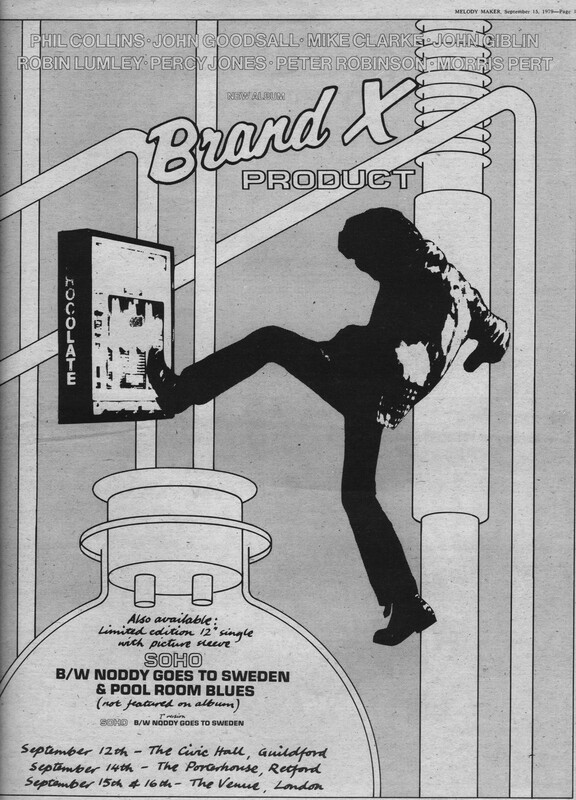 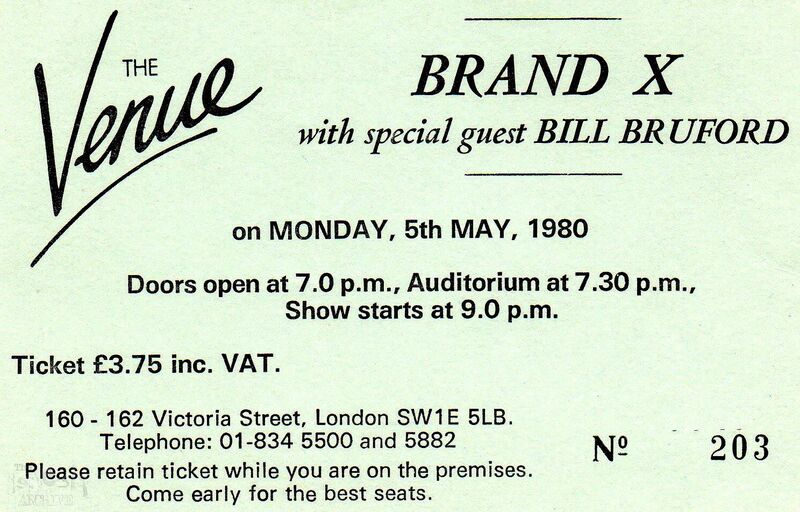 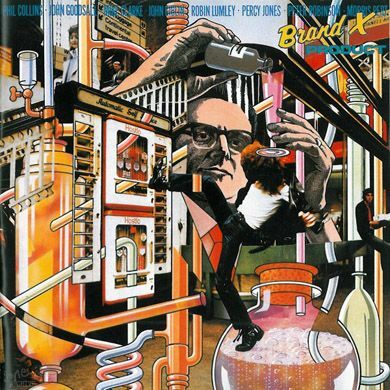 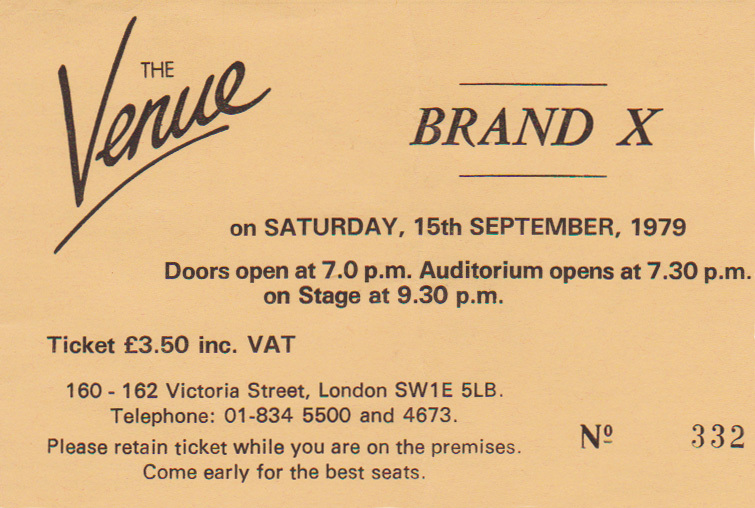 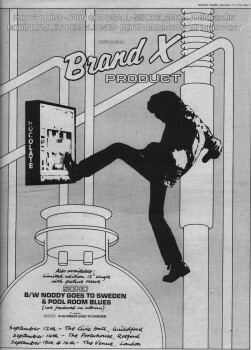 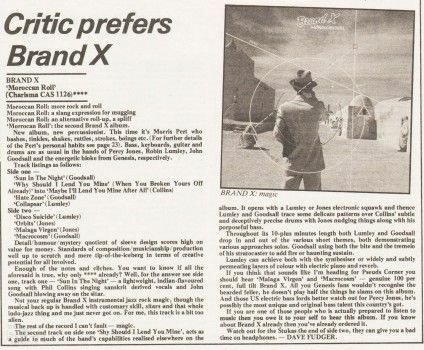 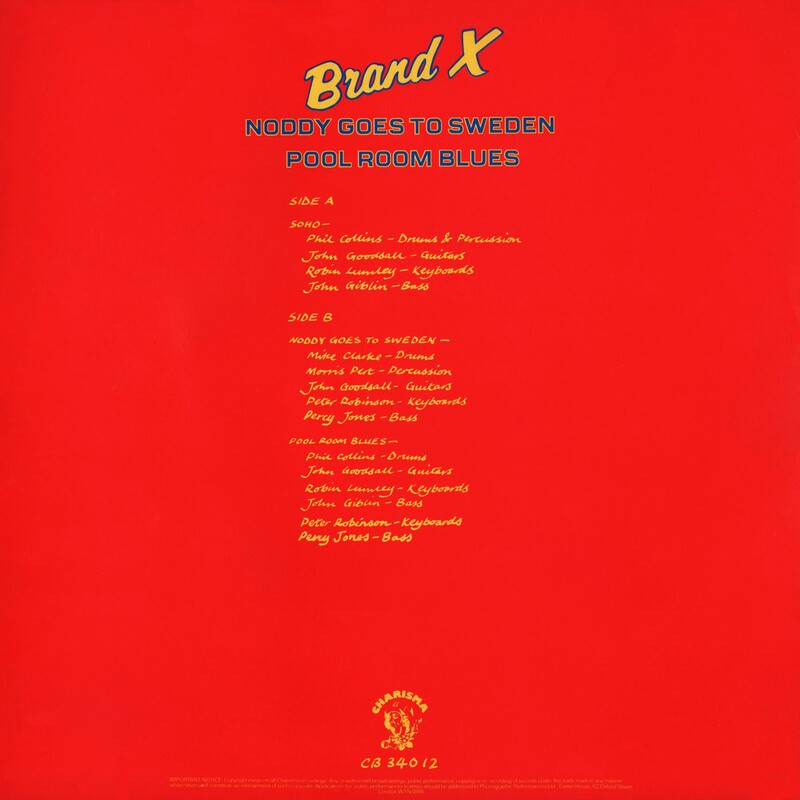 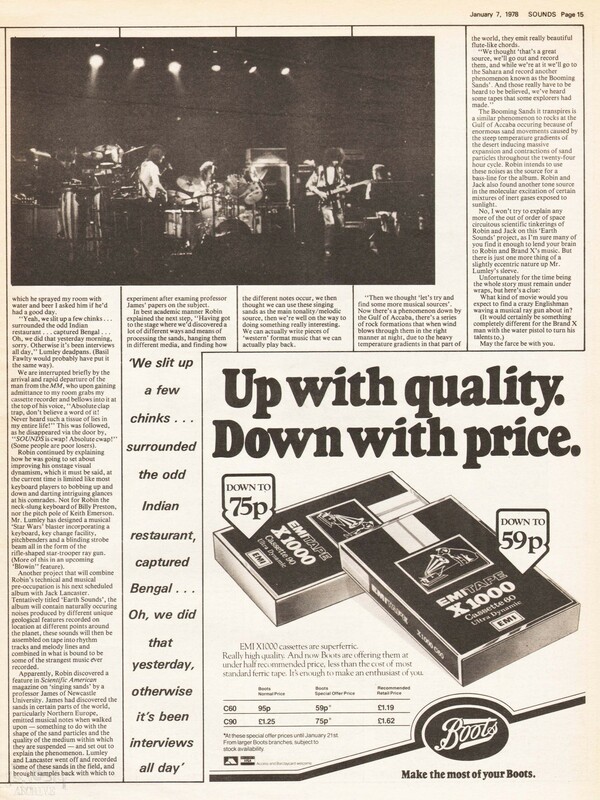 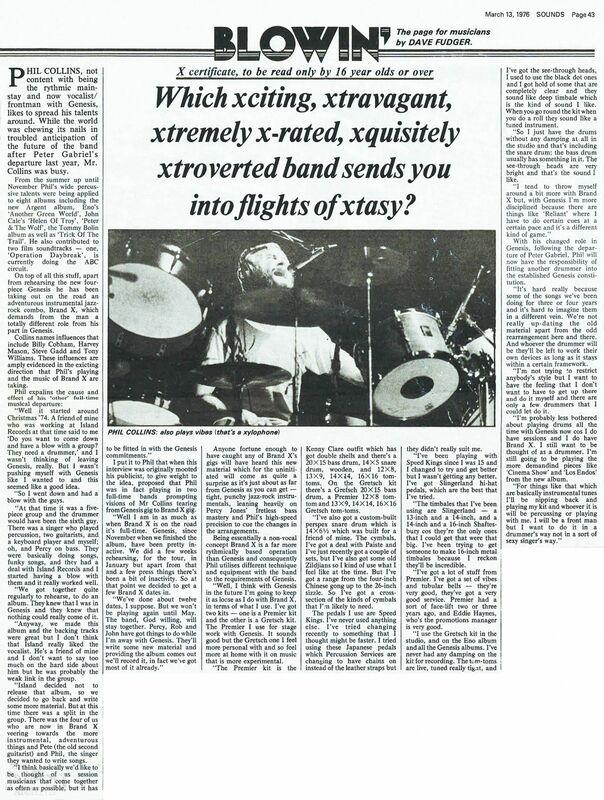 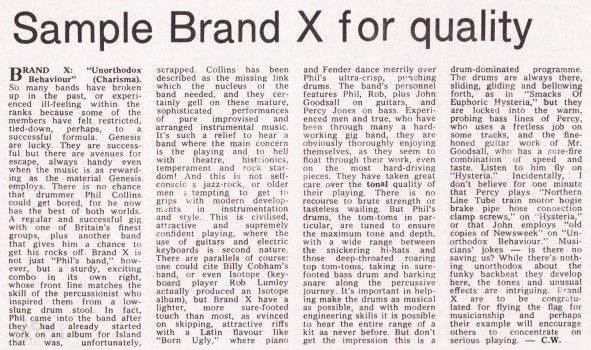 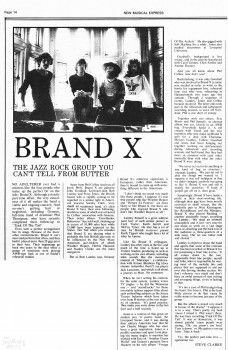 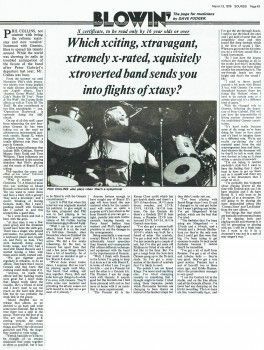 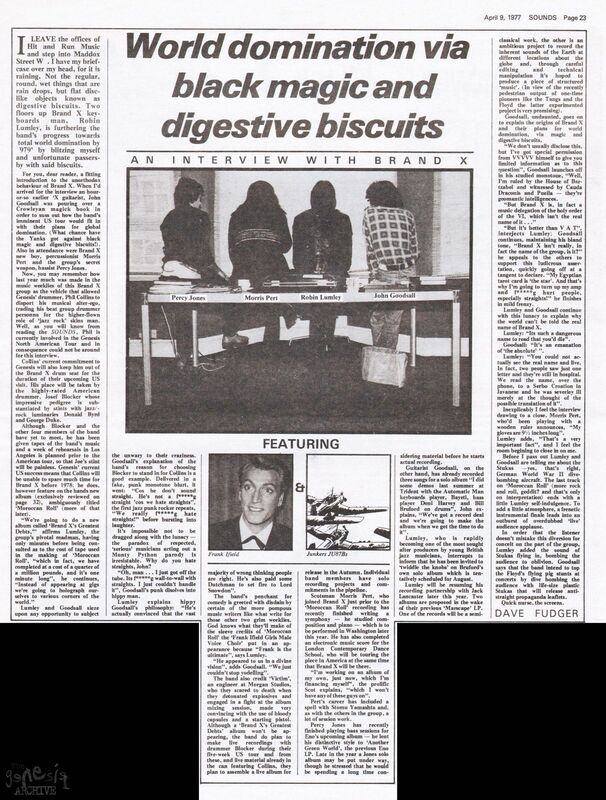 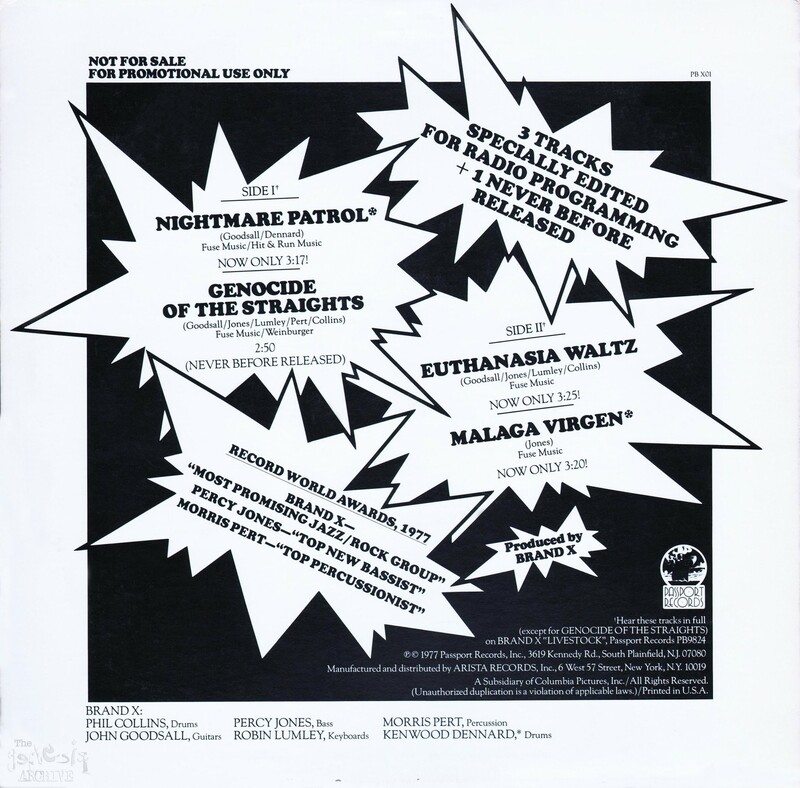 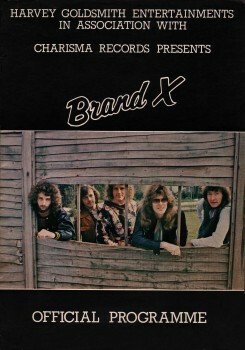 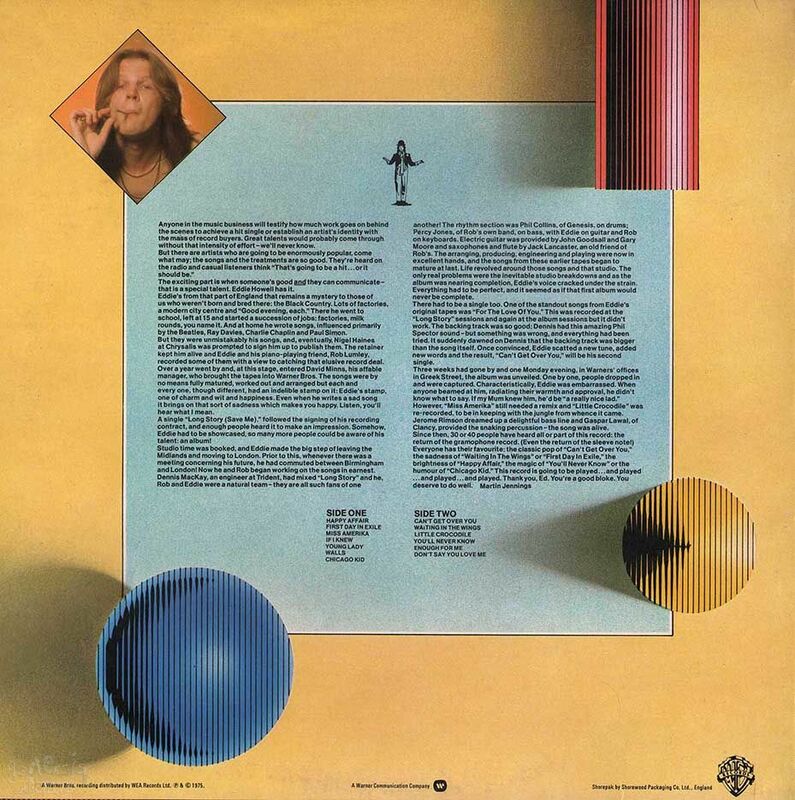 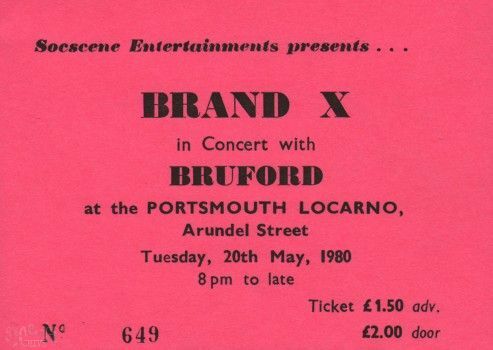 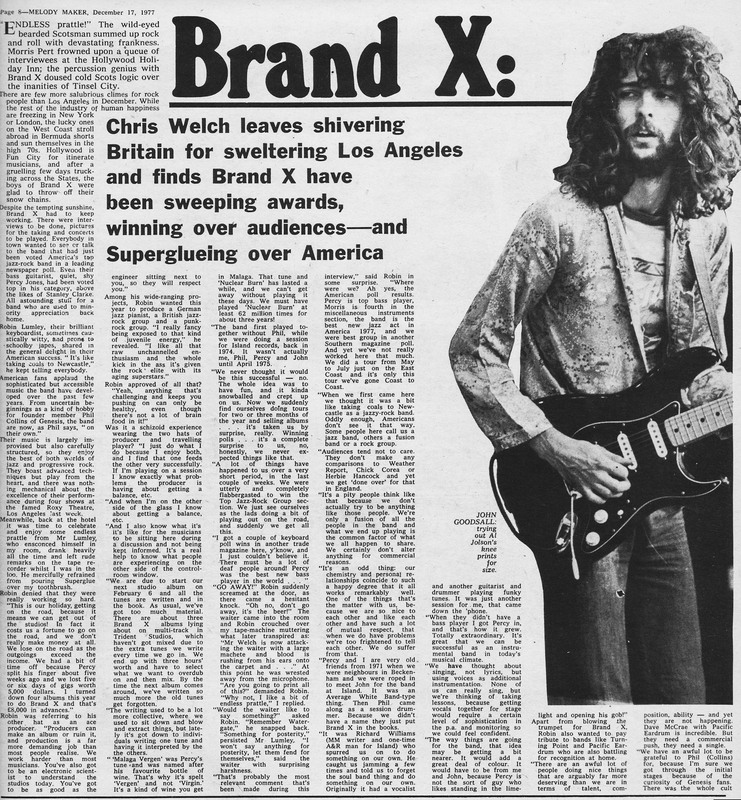 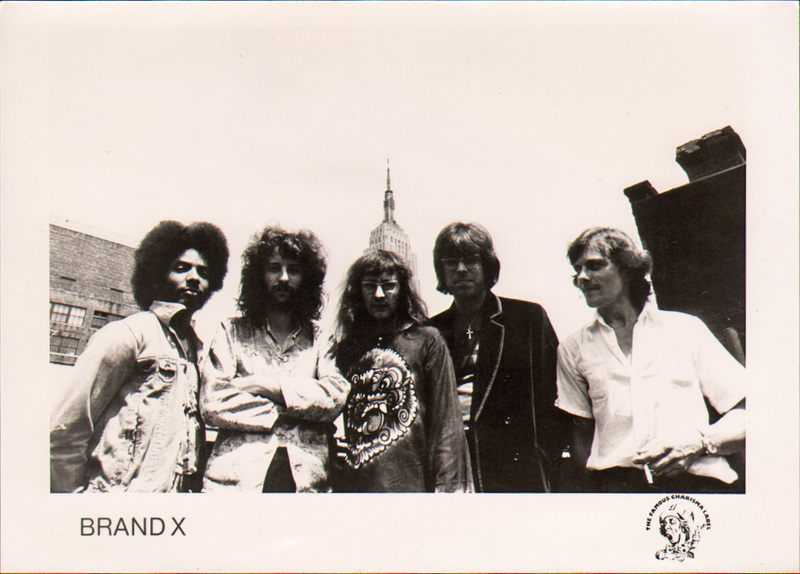 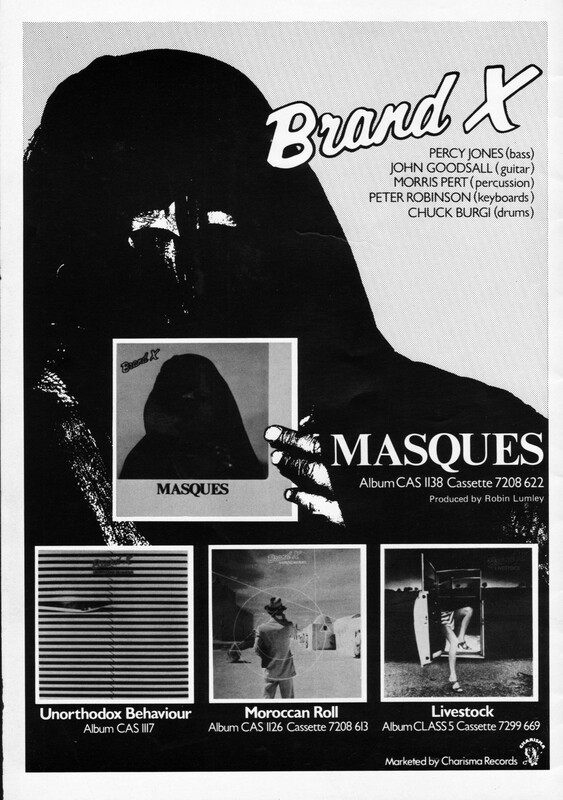 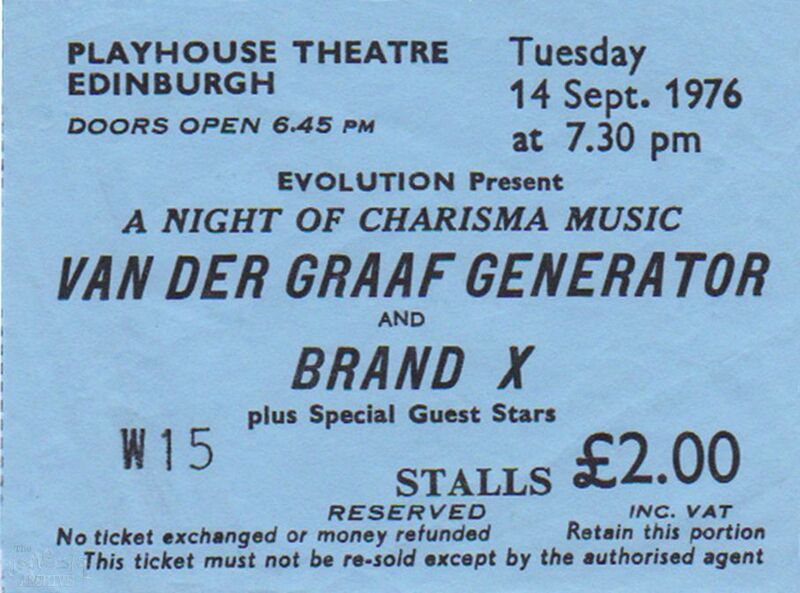 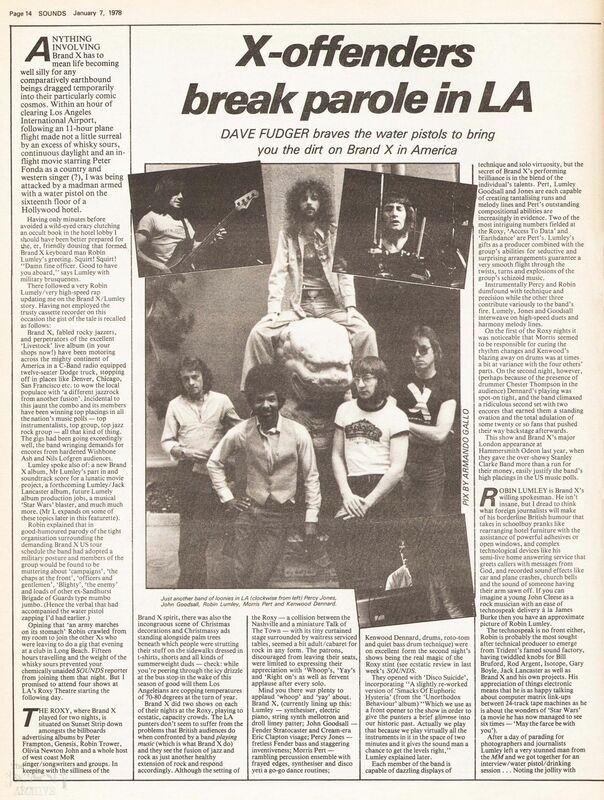 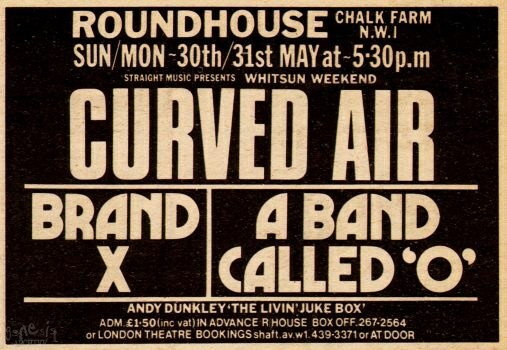 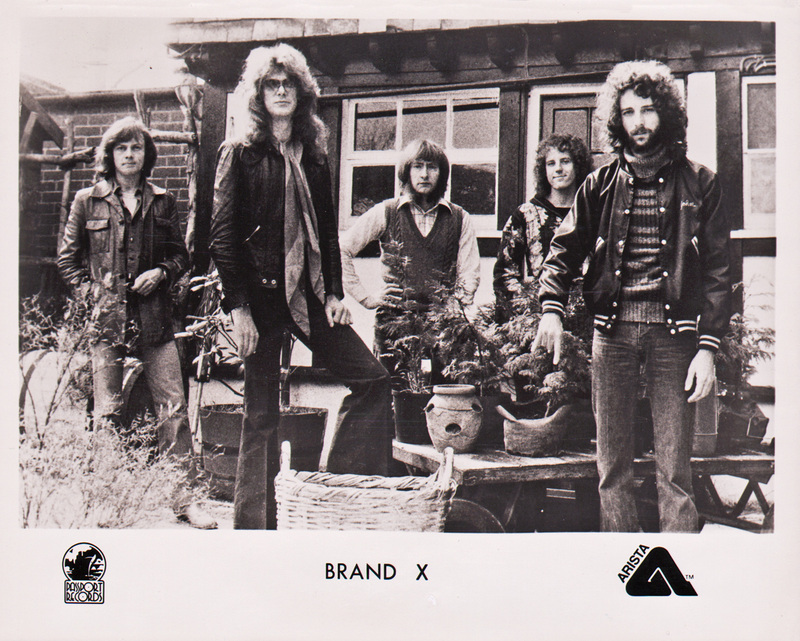 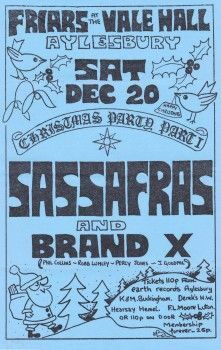 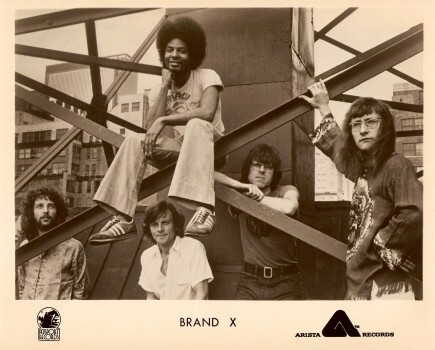 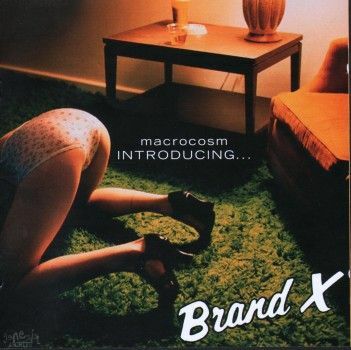 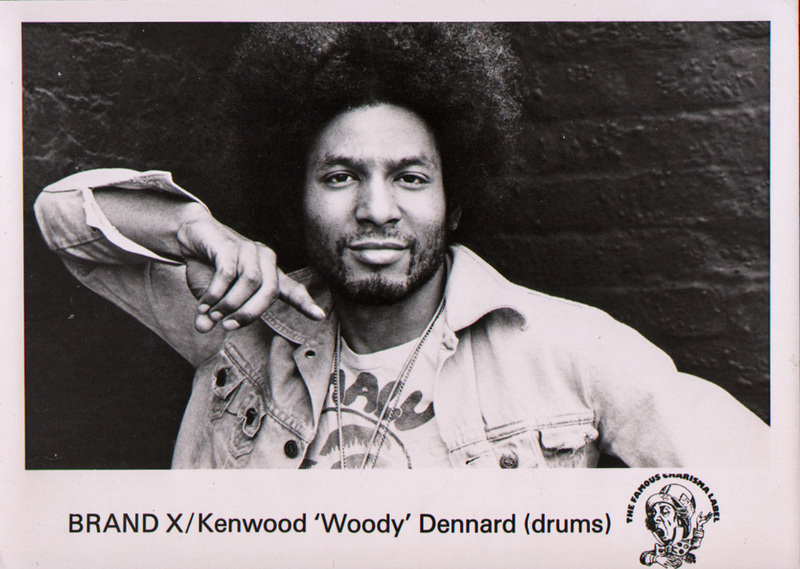 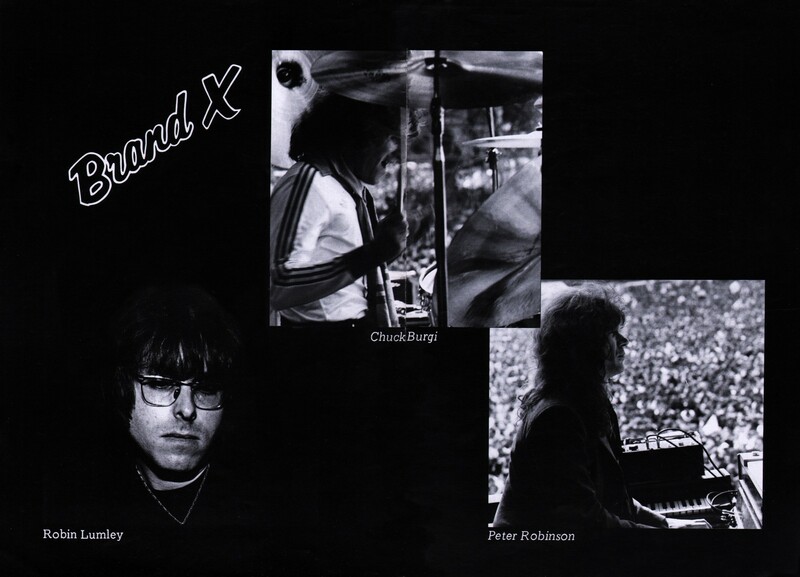 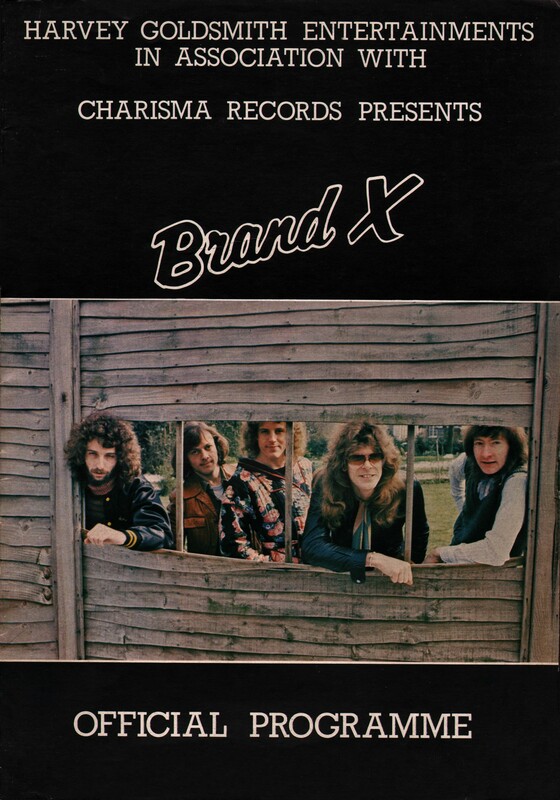 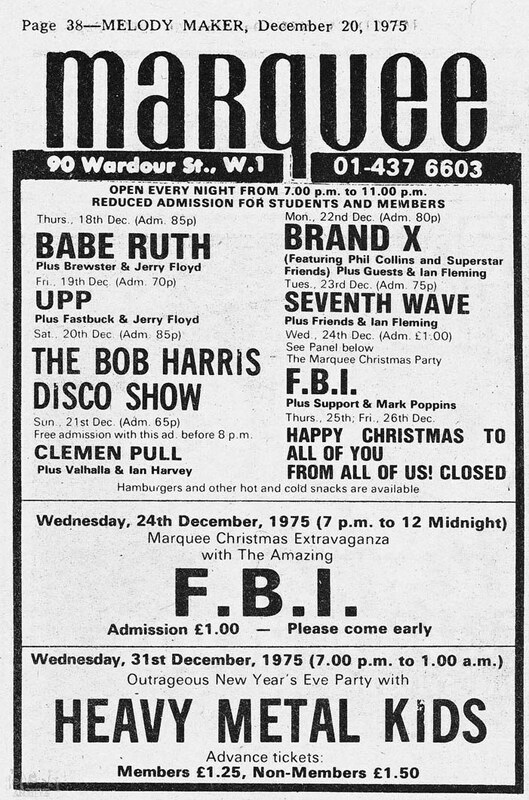 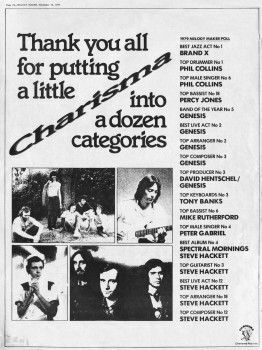 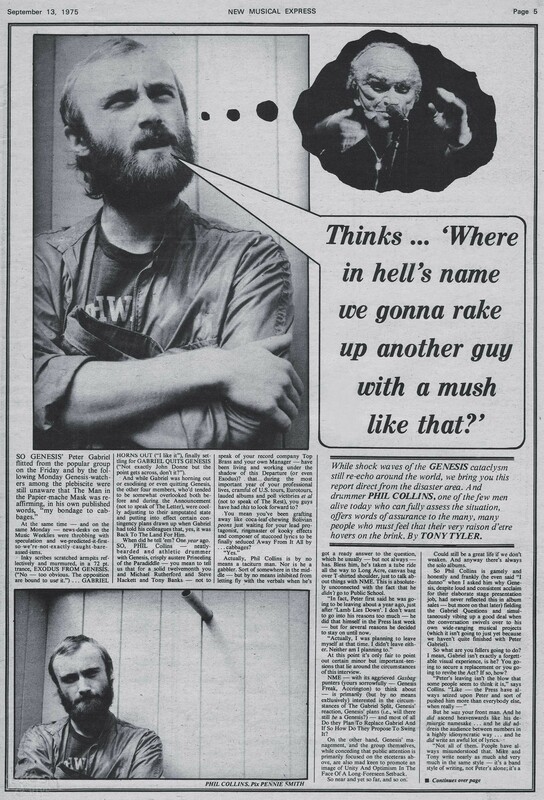 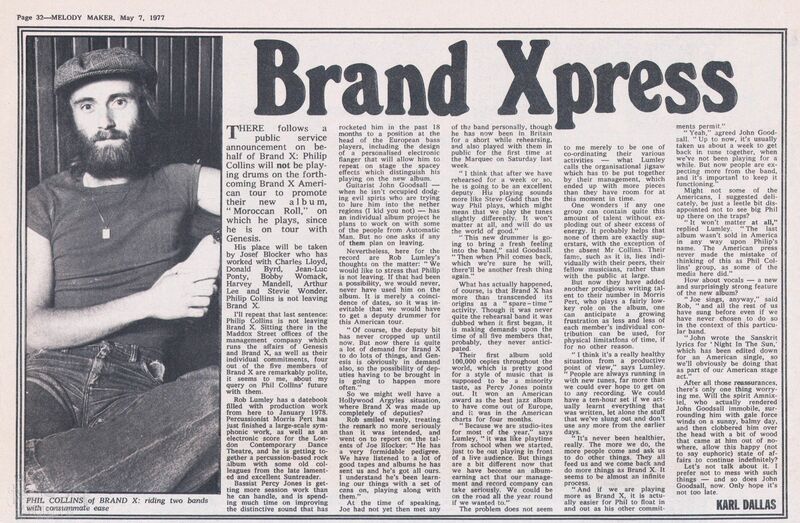 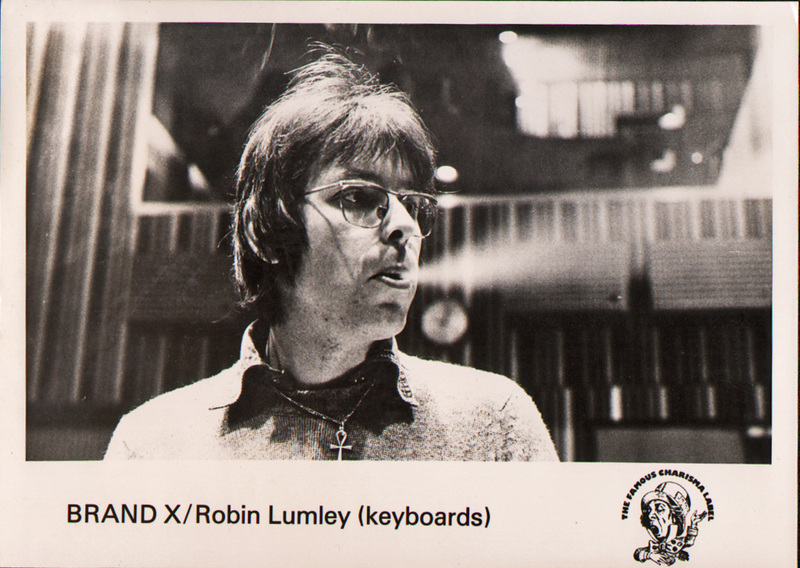 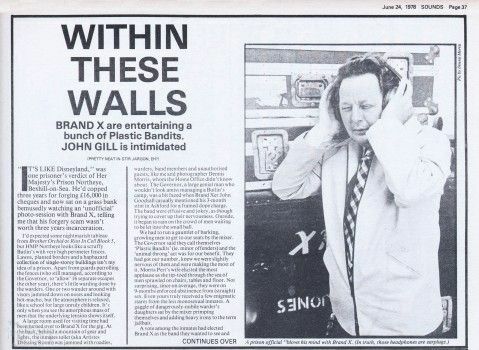 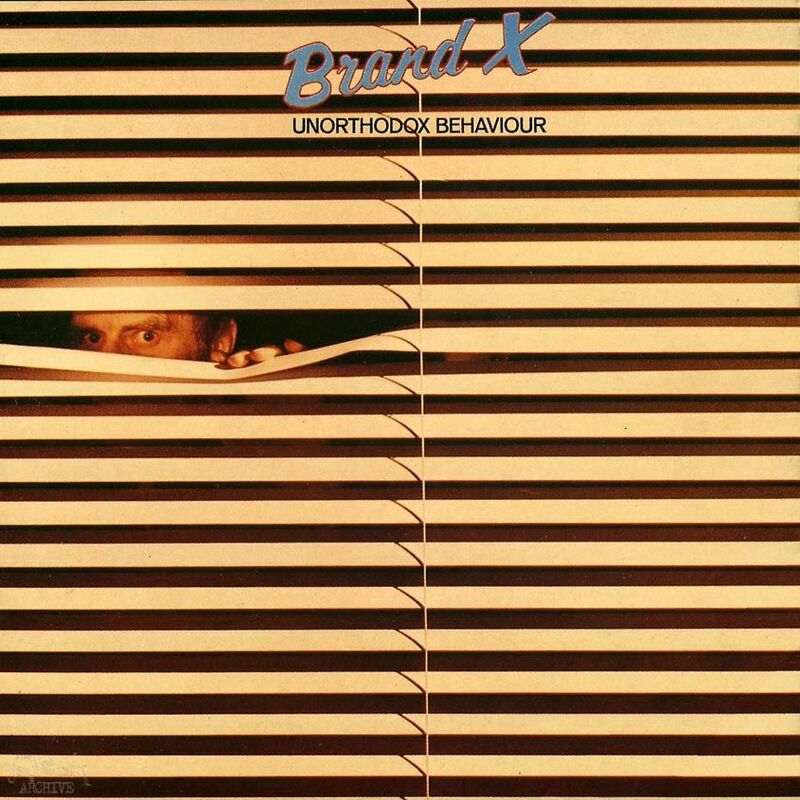 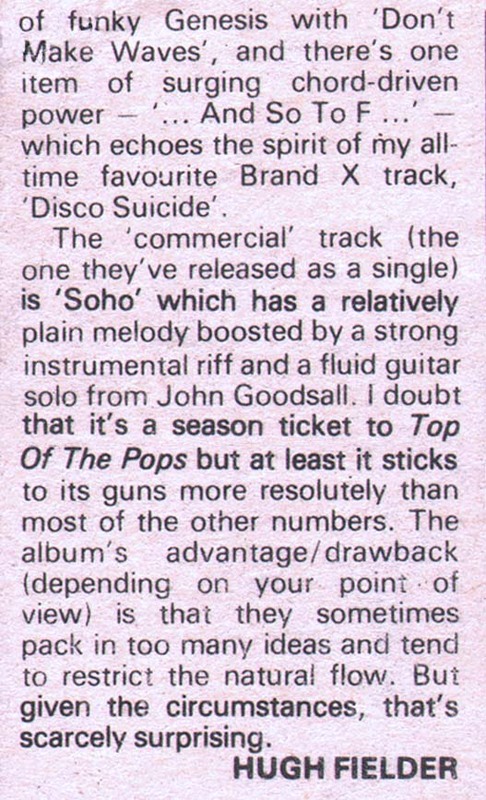 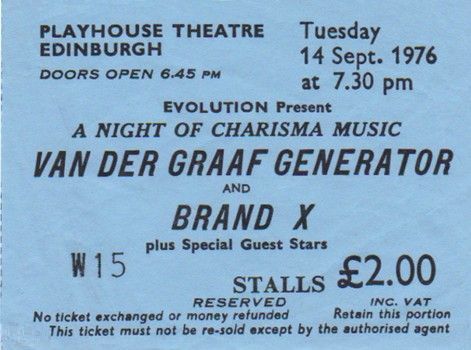 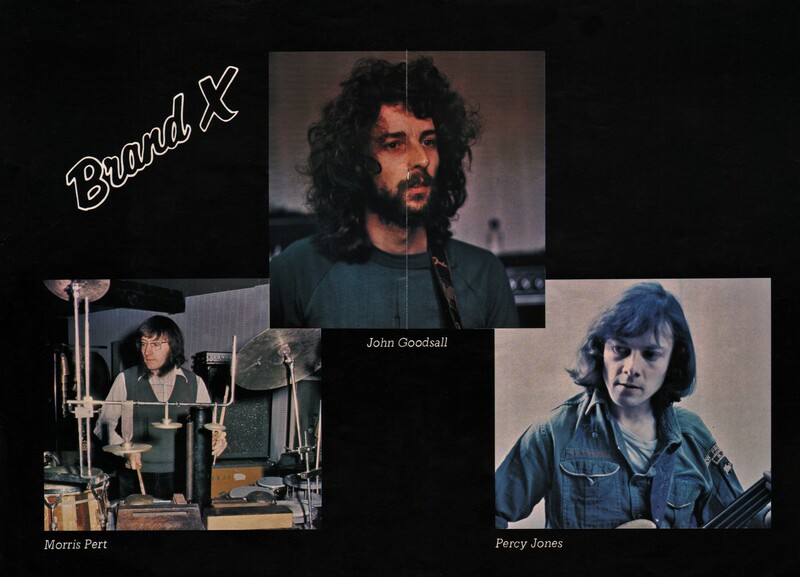 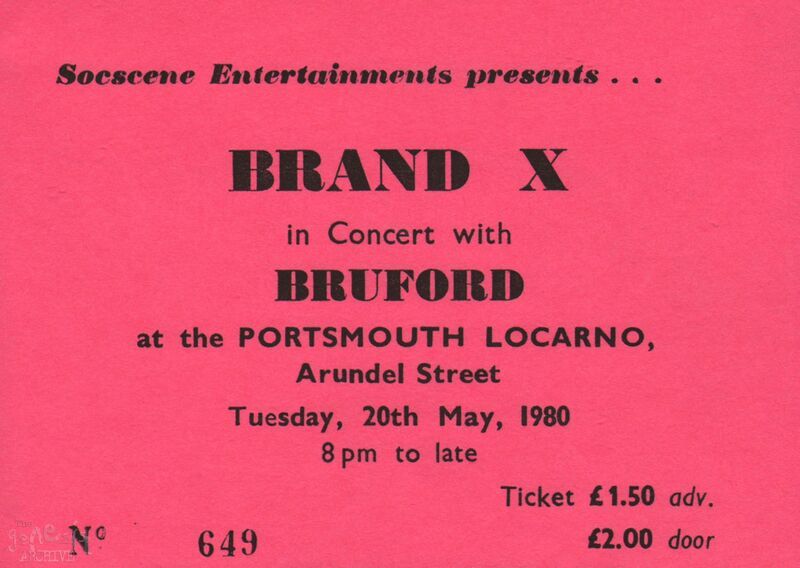 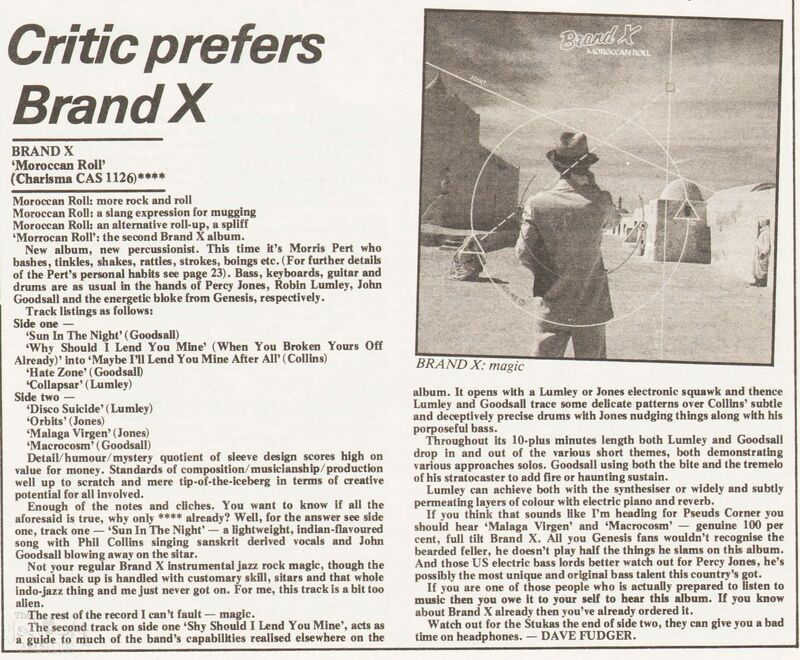 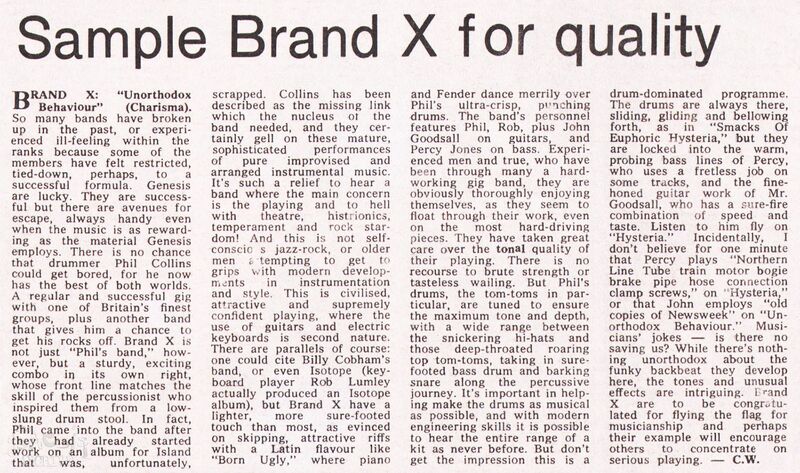 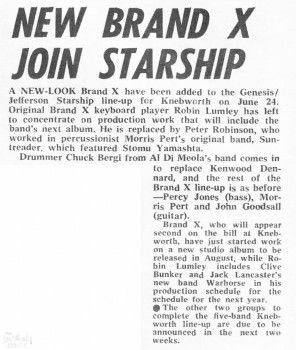 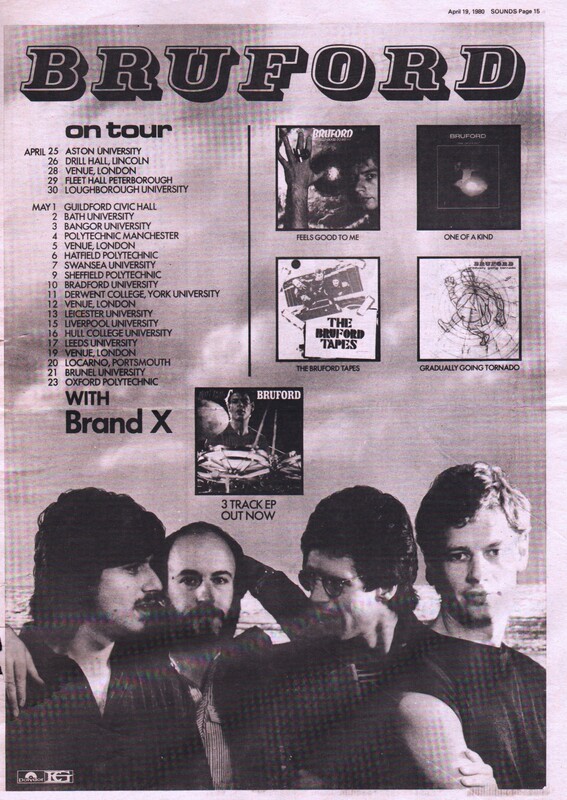 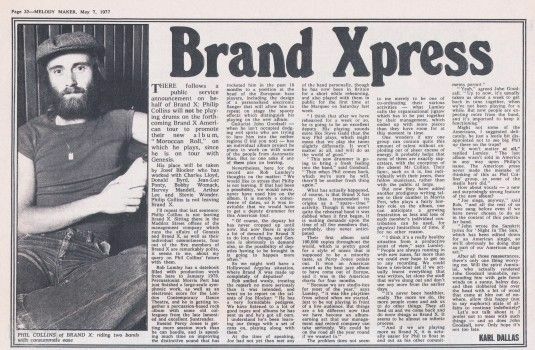 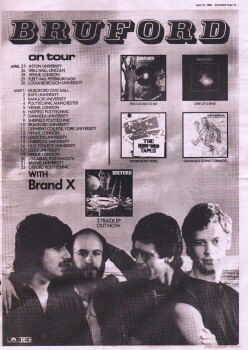 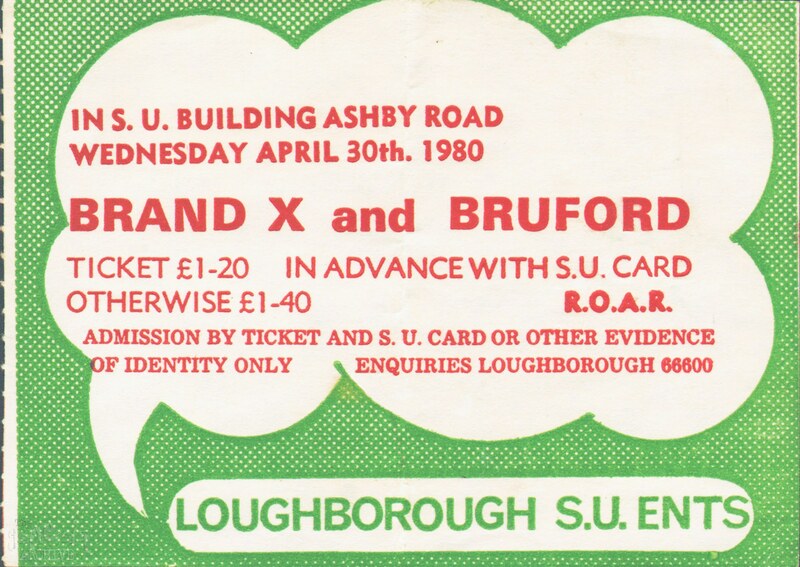 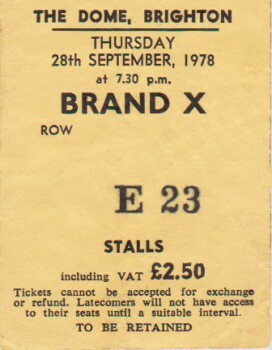 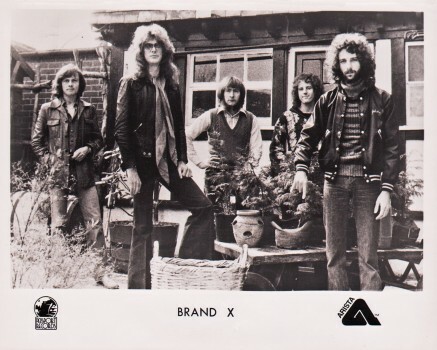 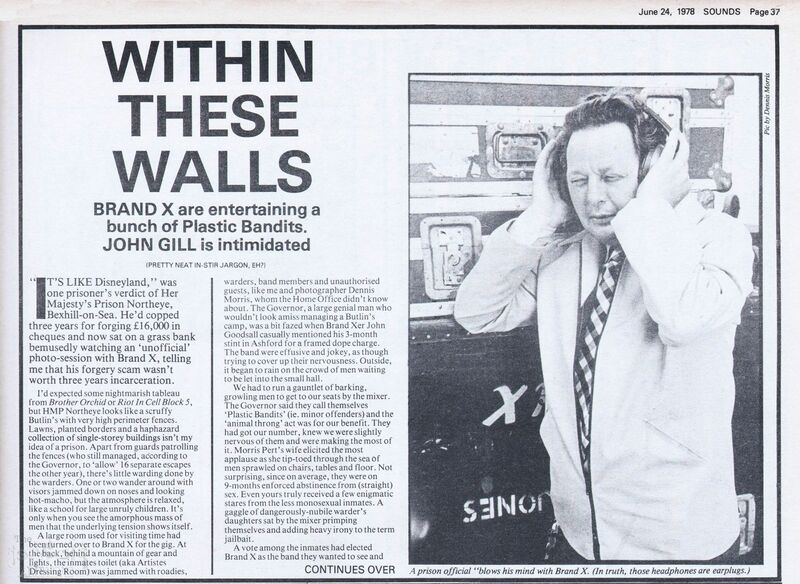 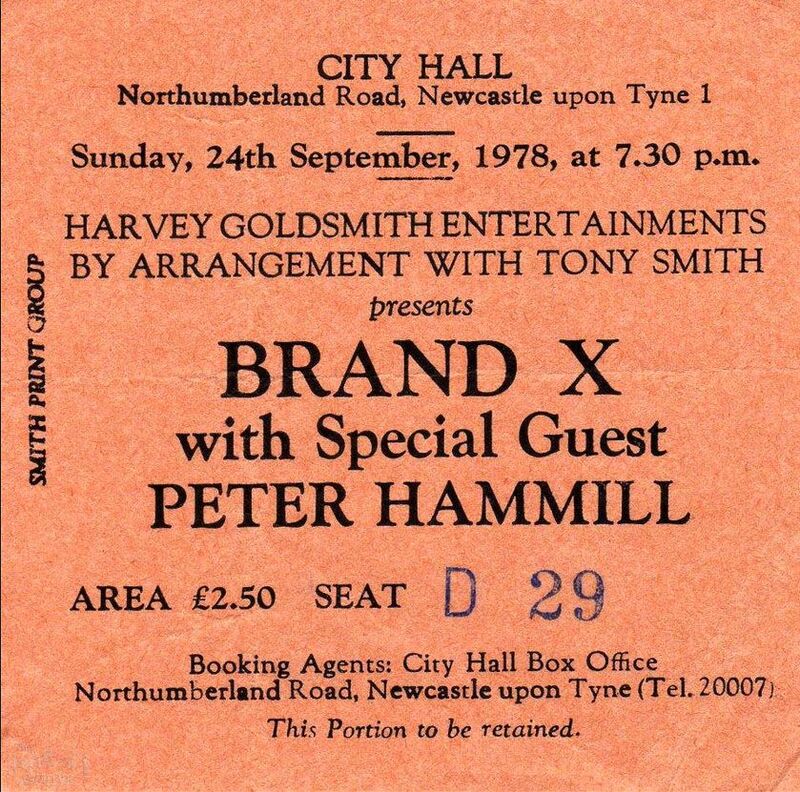 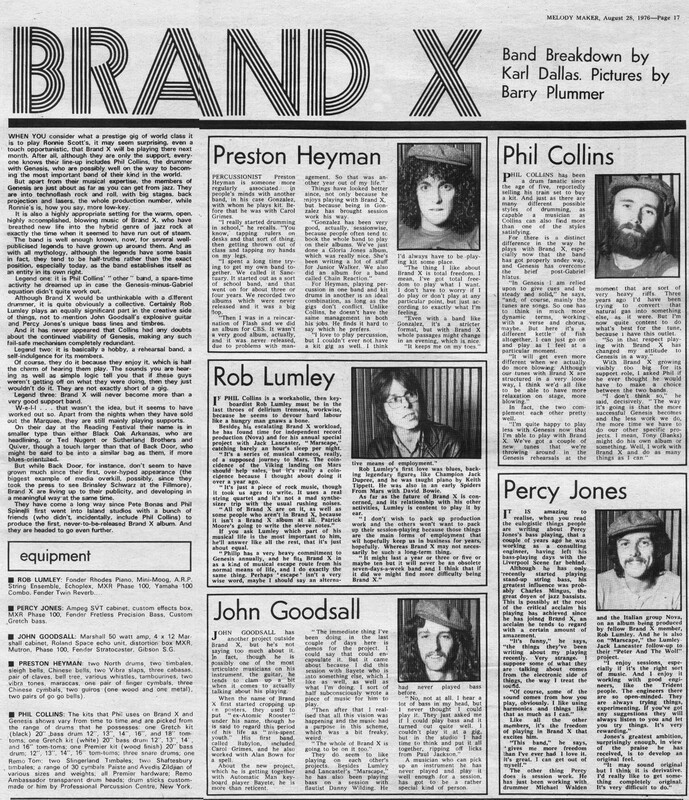 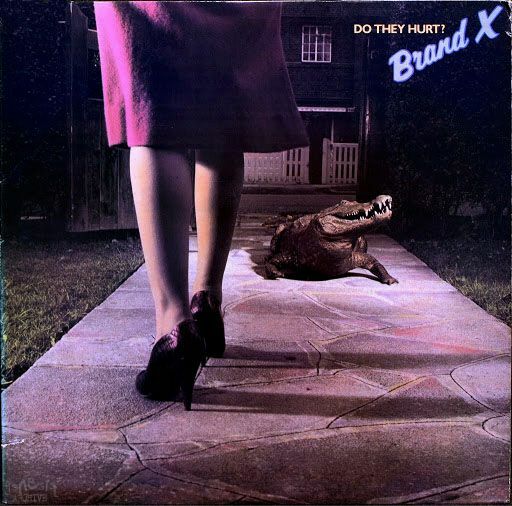 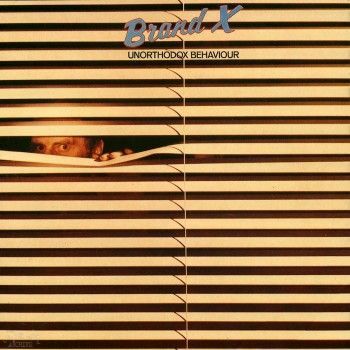 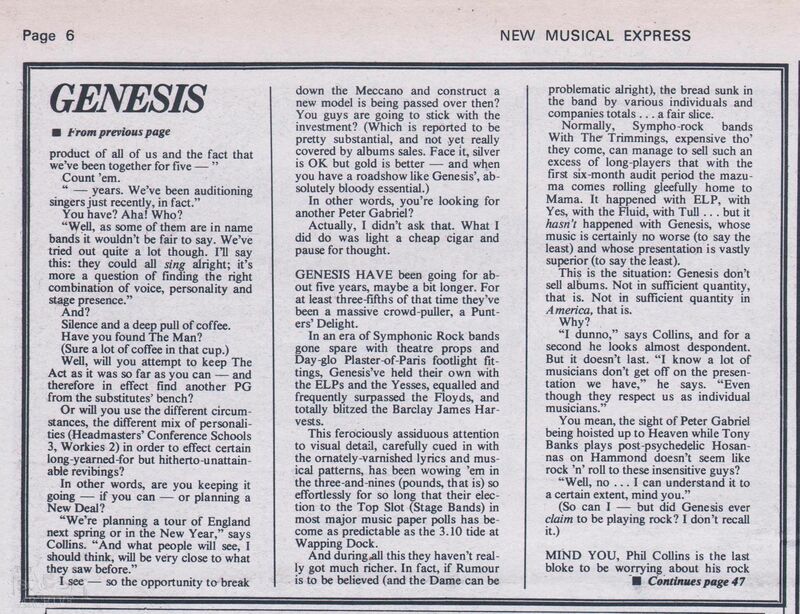 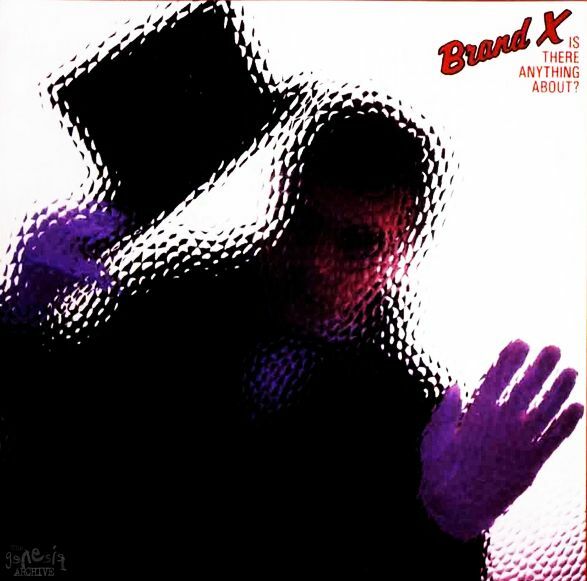 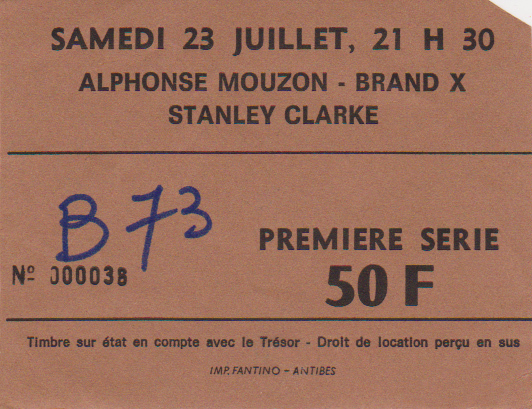 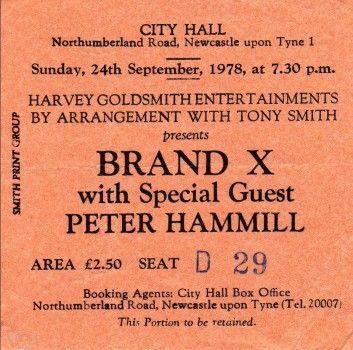 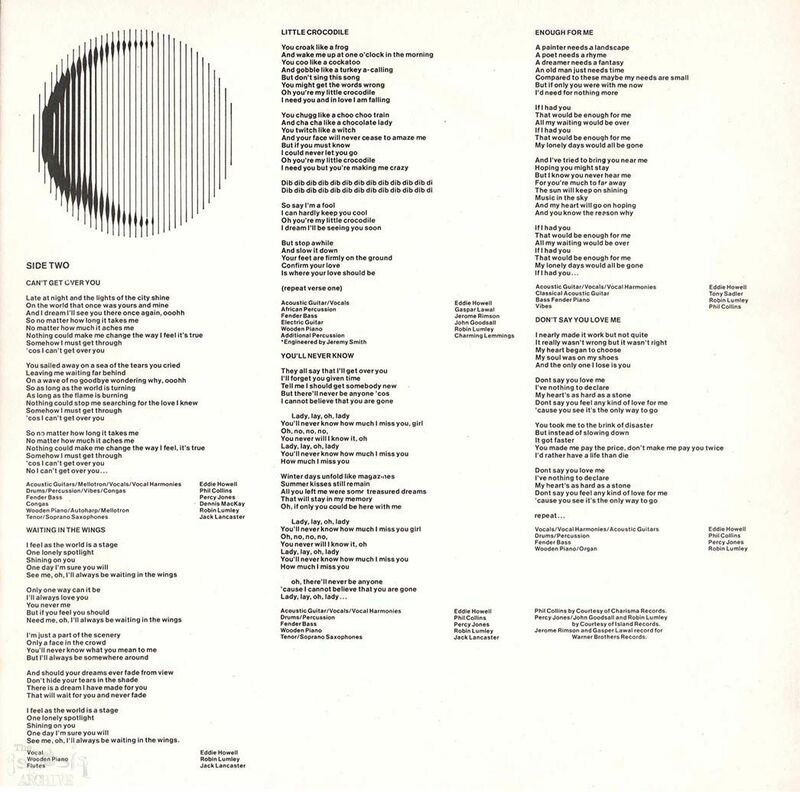 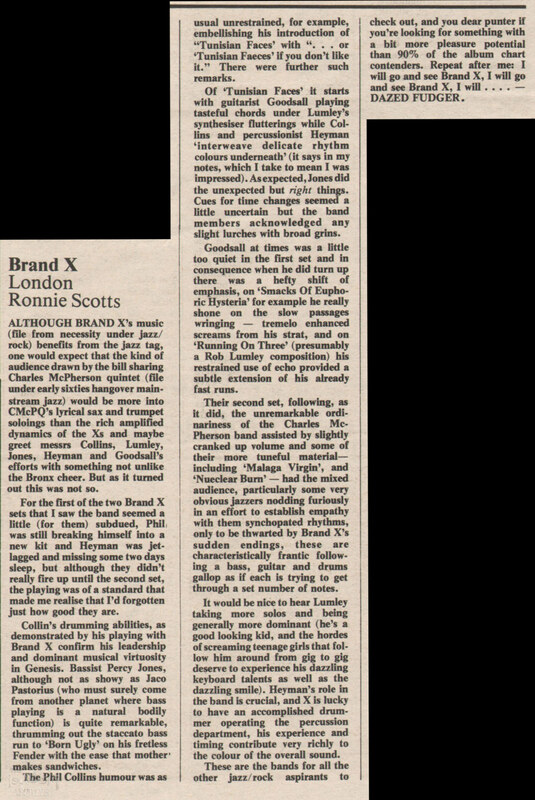 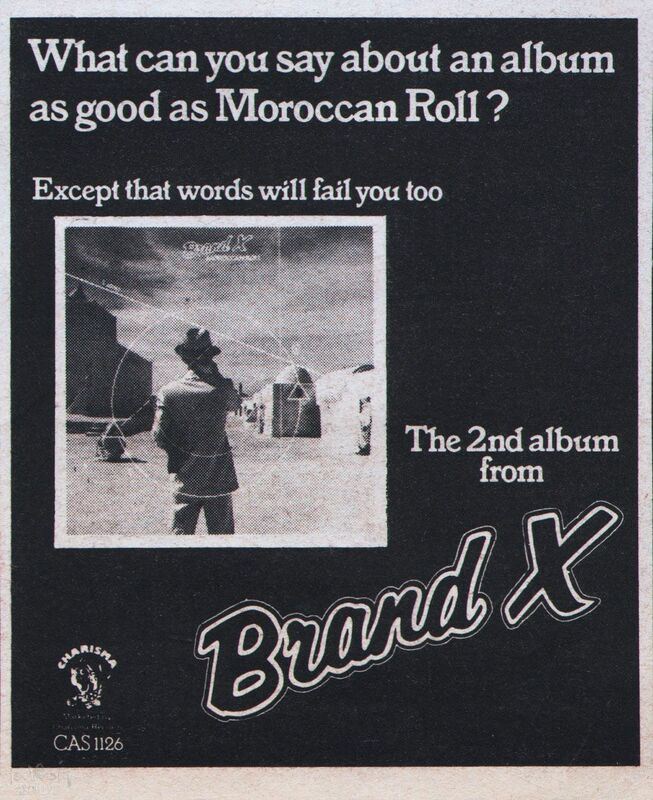 An advert for the Brand X album Unorthodox Behaviour, published on the 3rd July 1976 in Melody Maker. 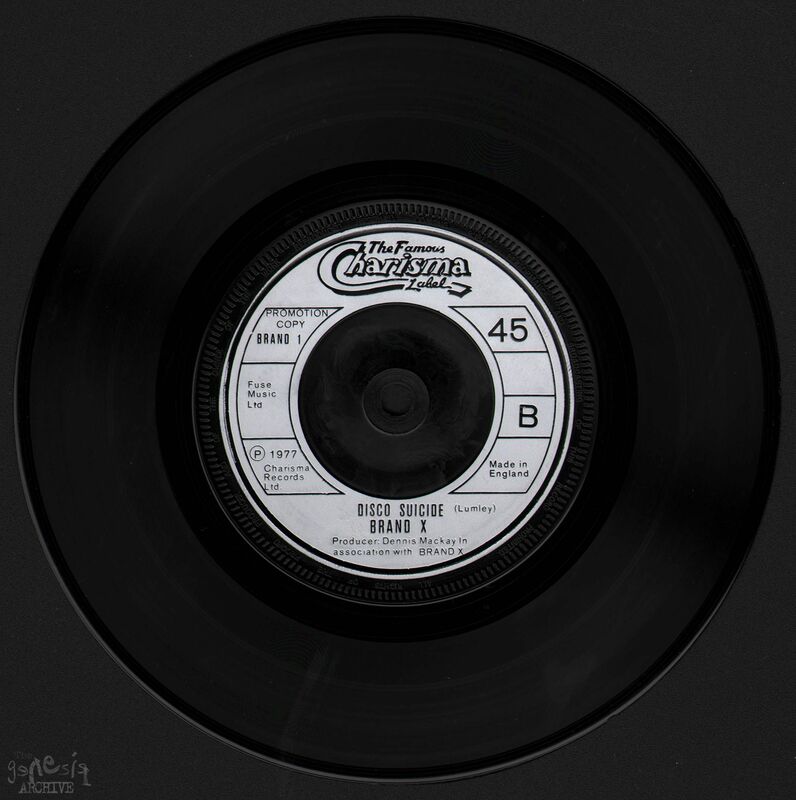 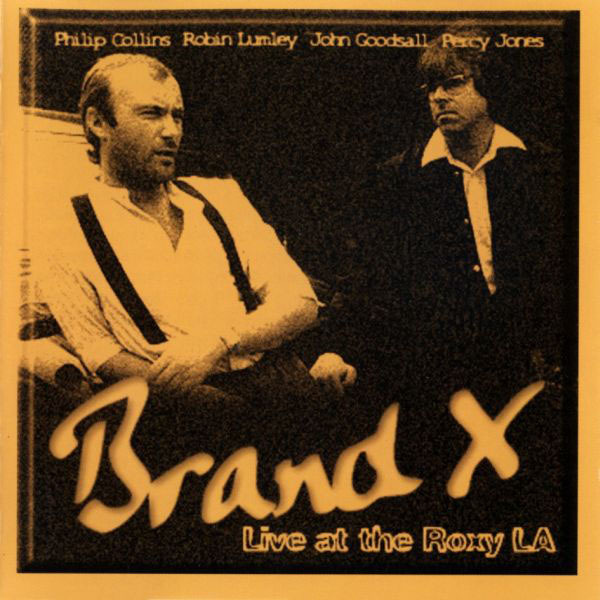 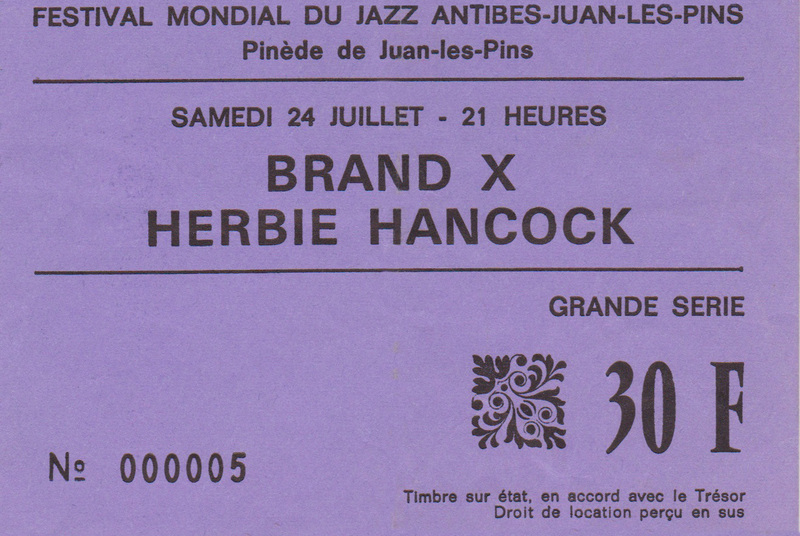 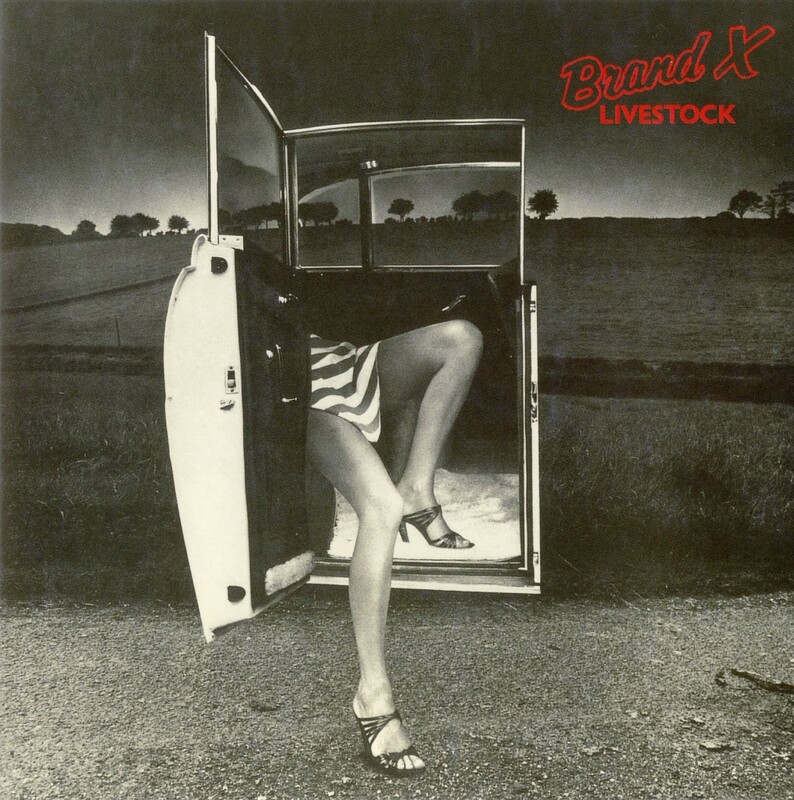 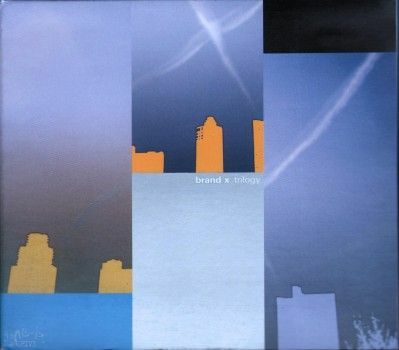 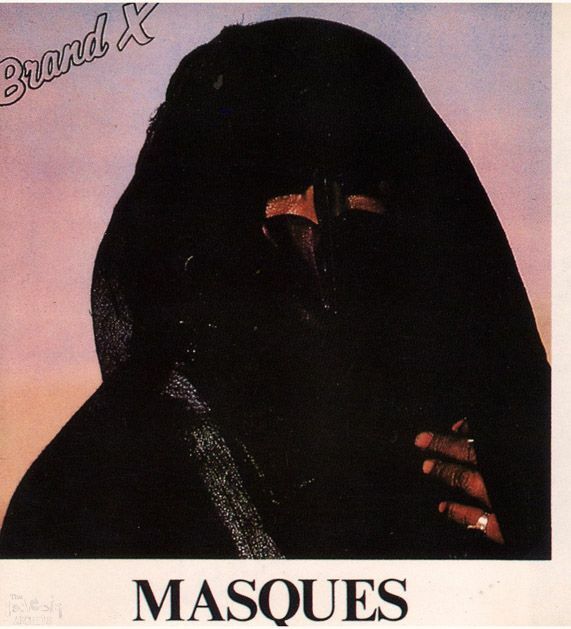 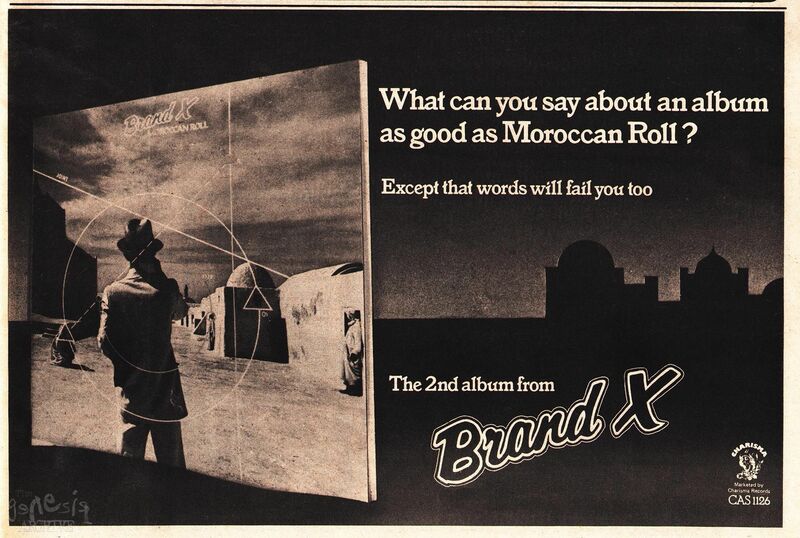 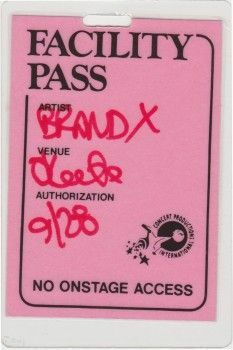 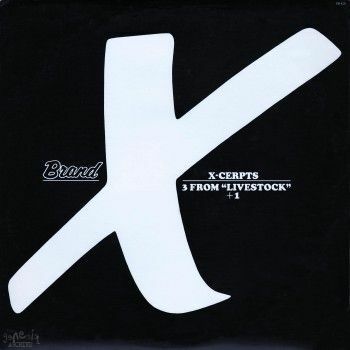 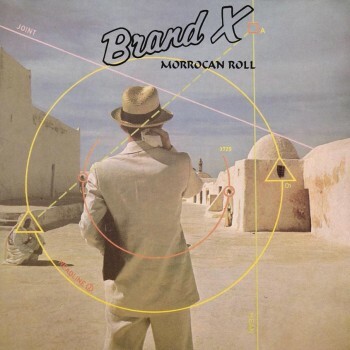 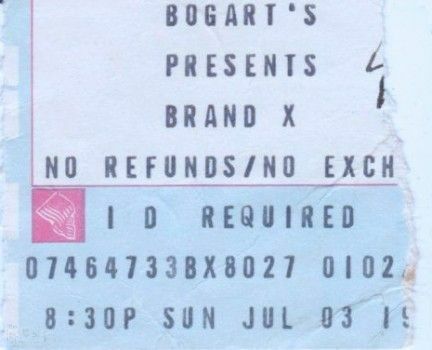 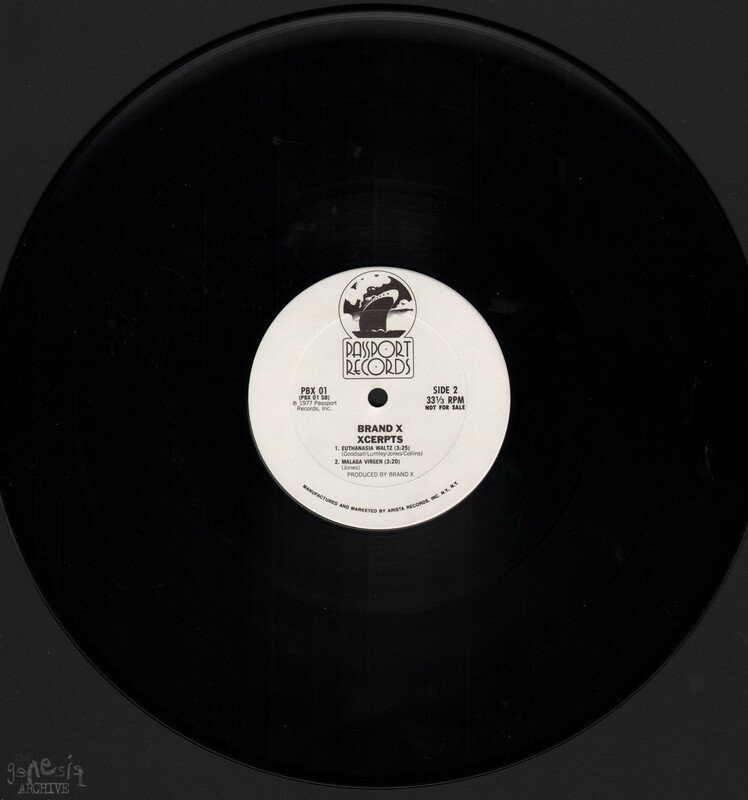 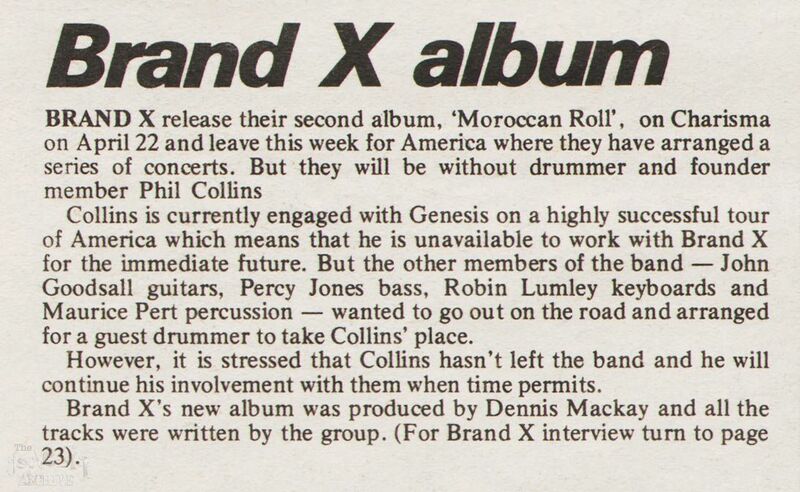 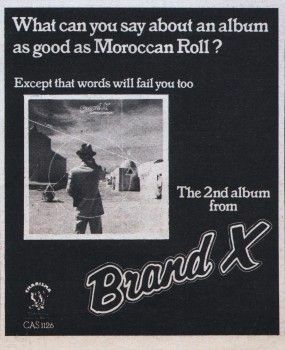 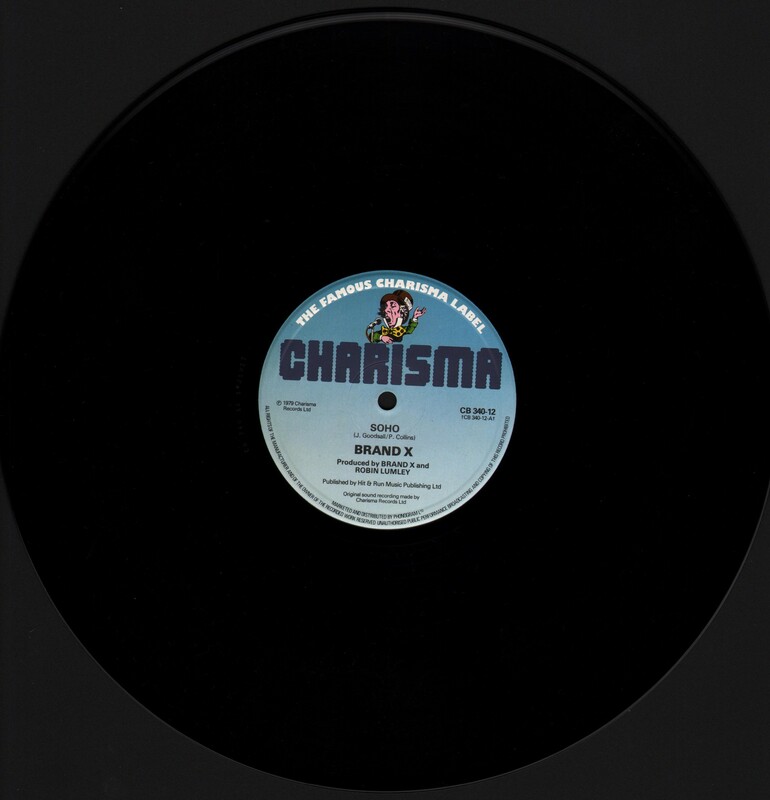 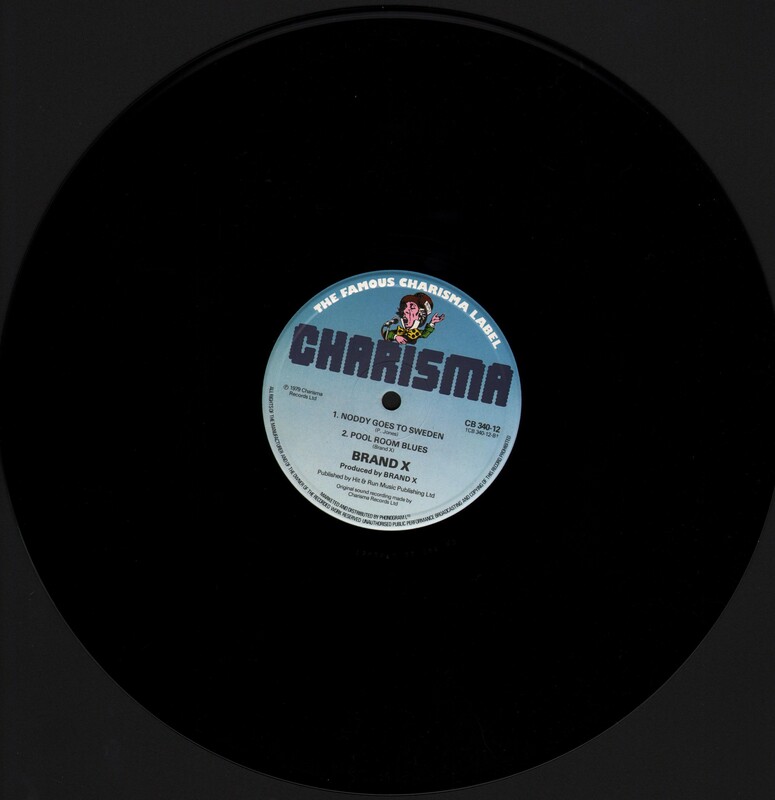 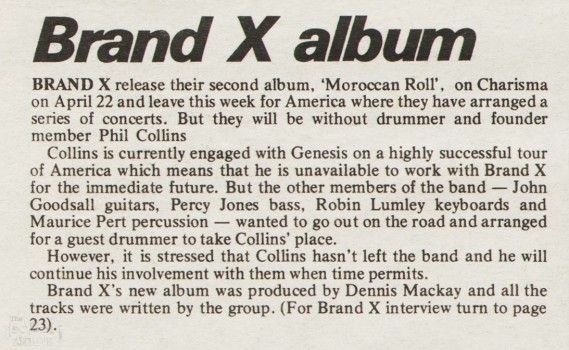 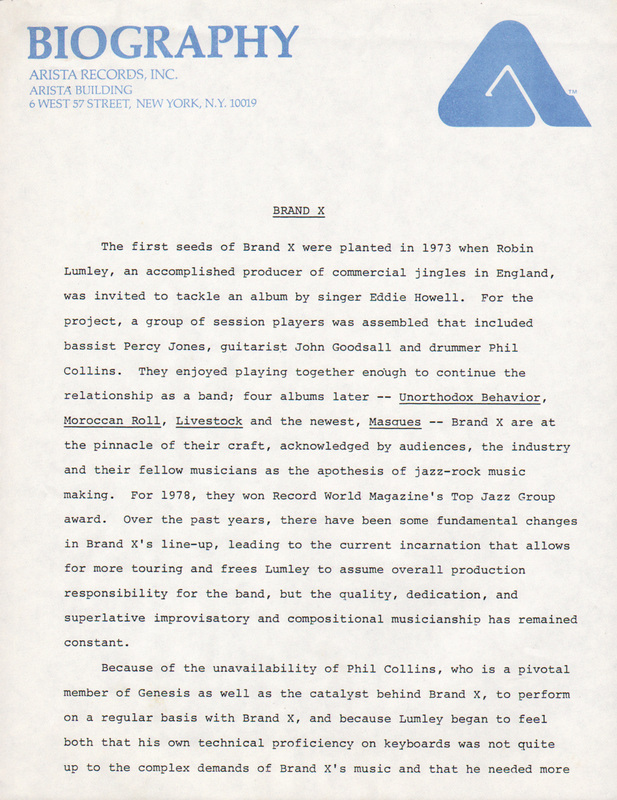 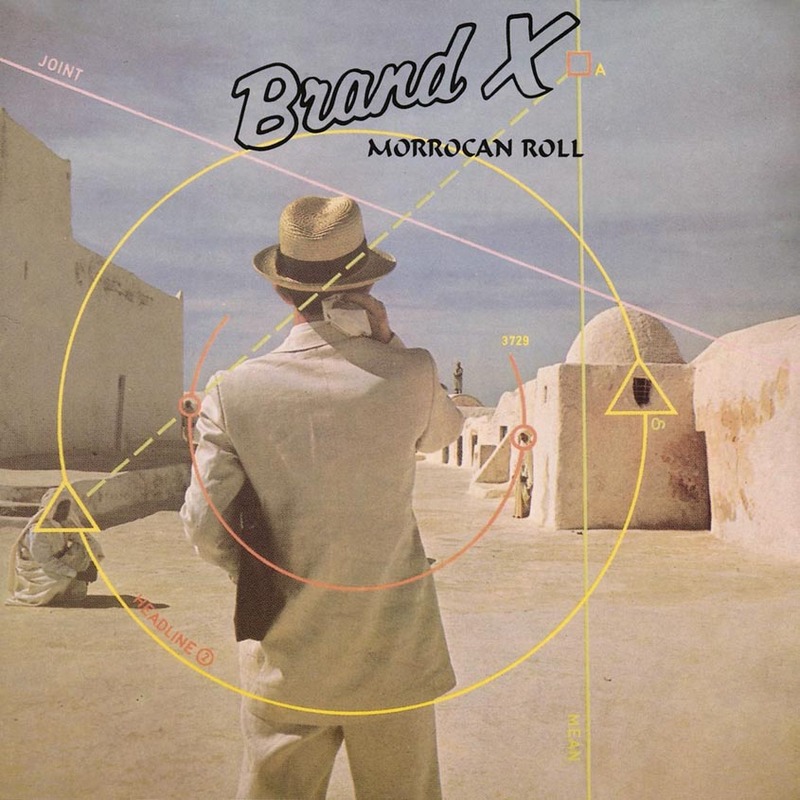 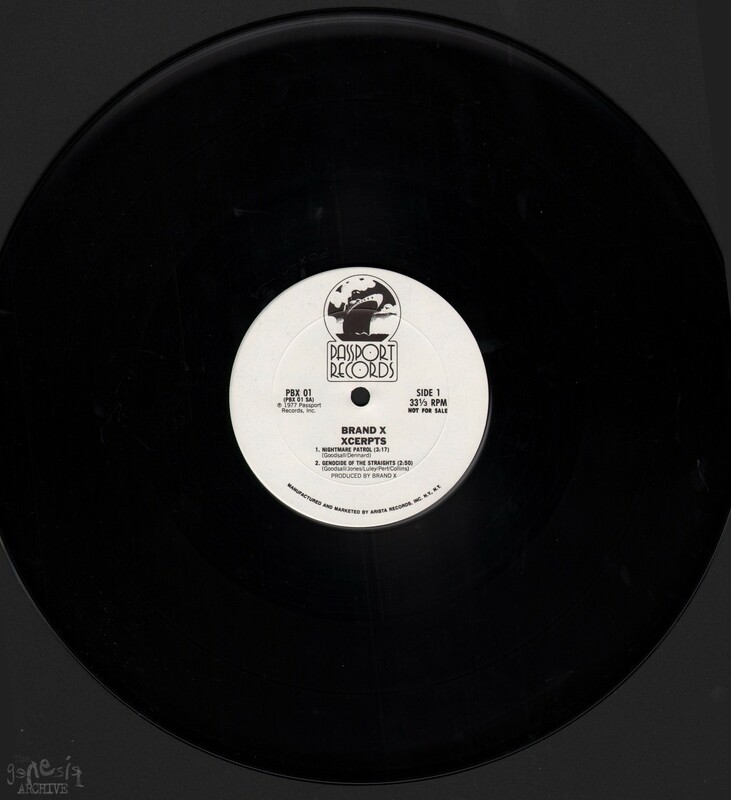 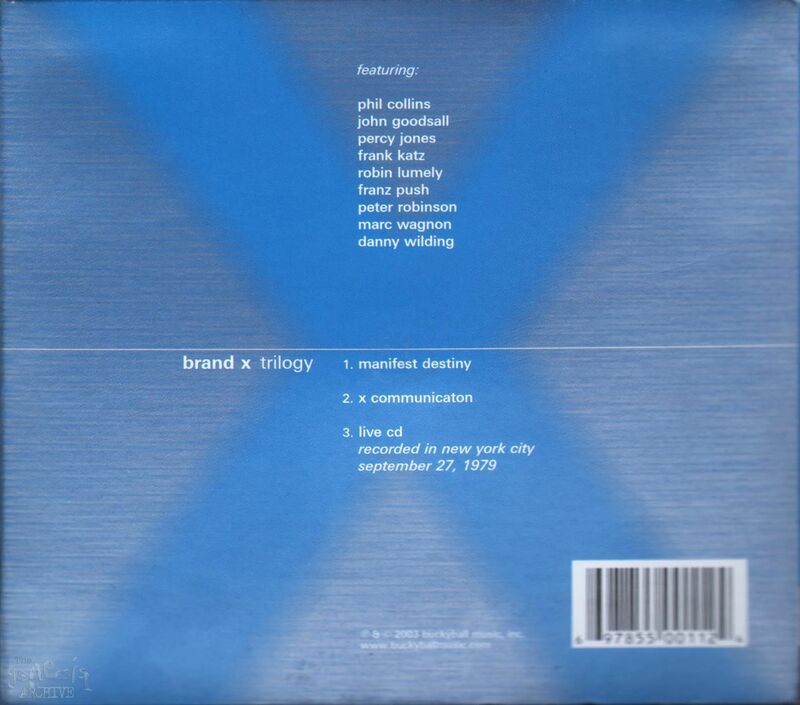 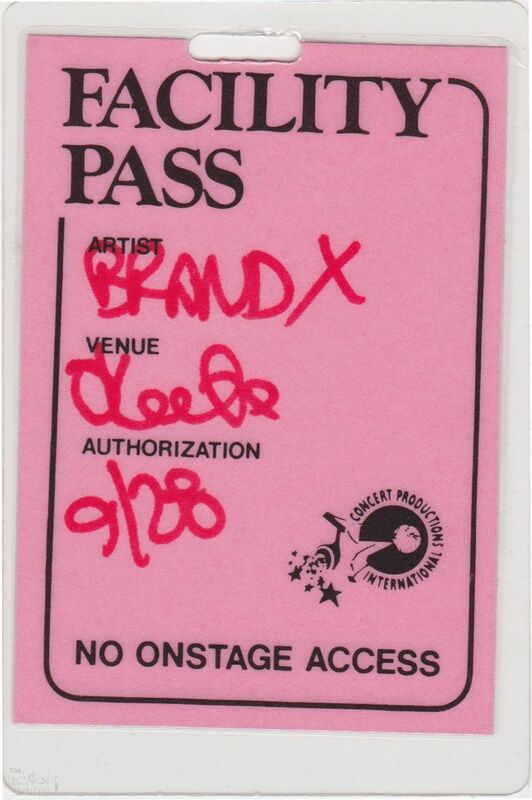 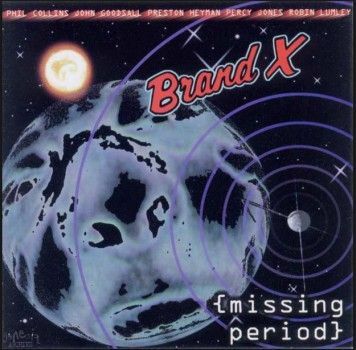 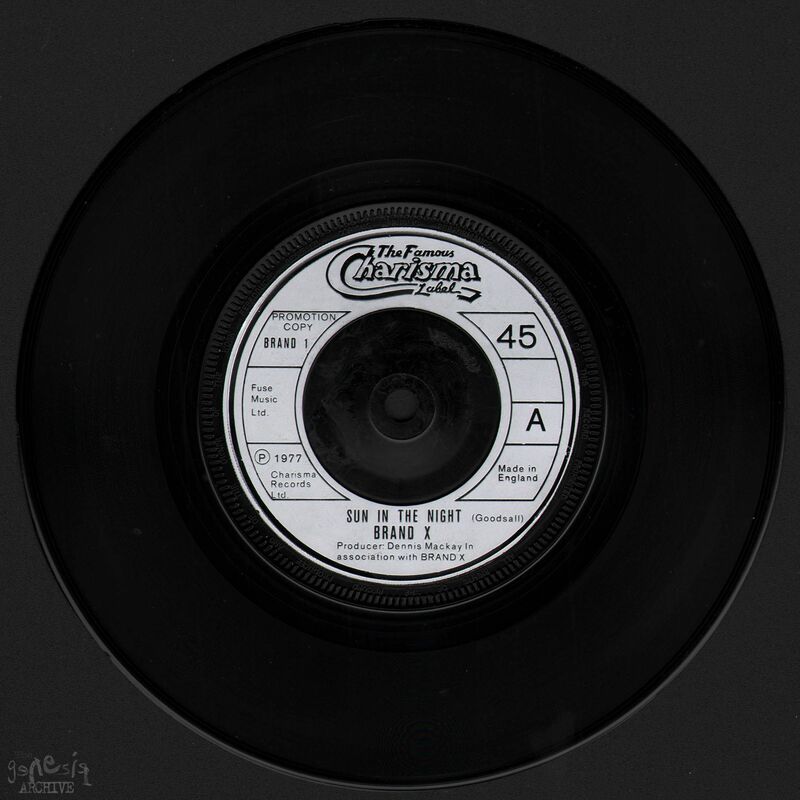 News about Brand X and their soon to be released album – Moroccan Roll. 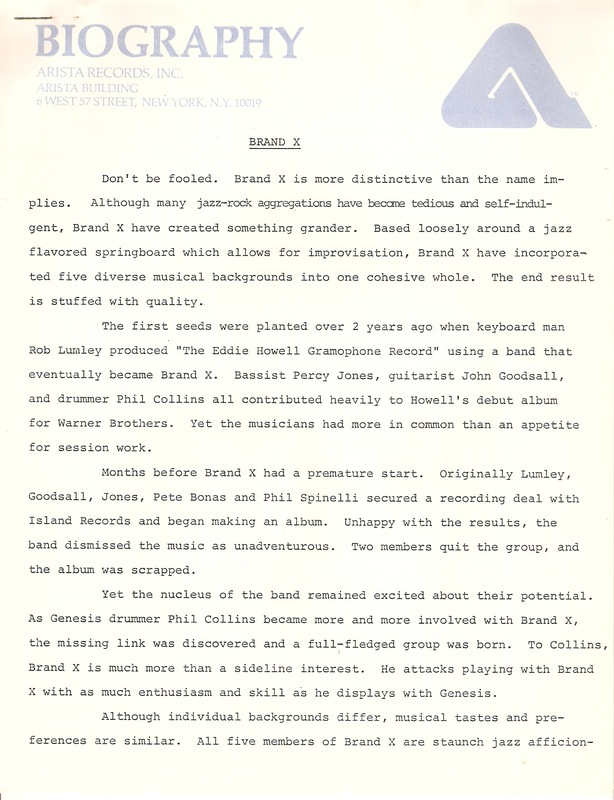 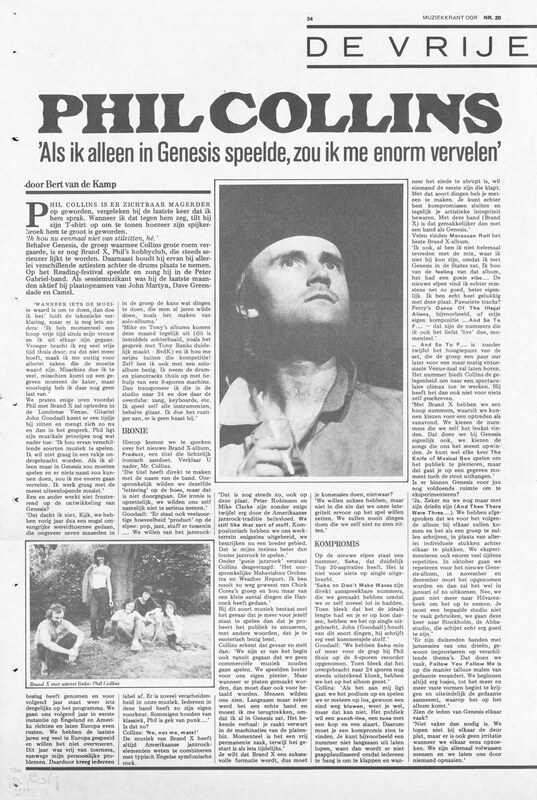 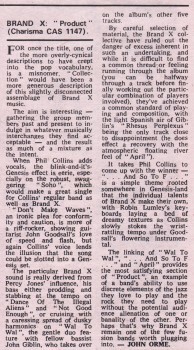 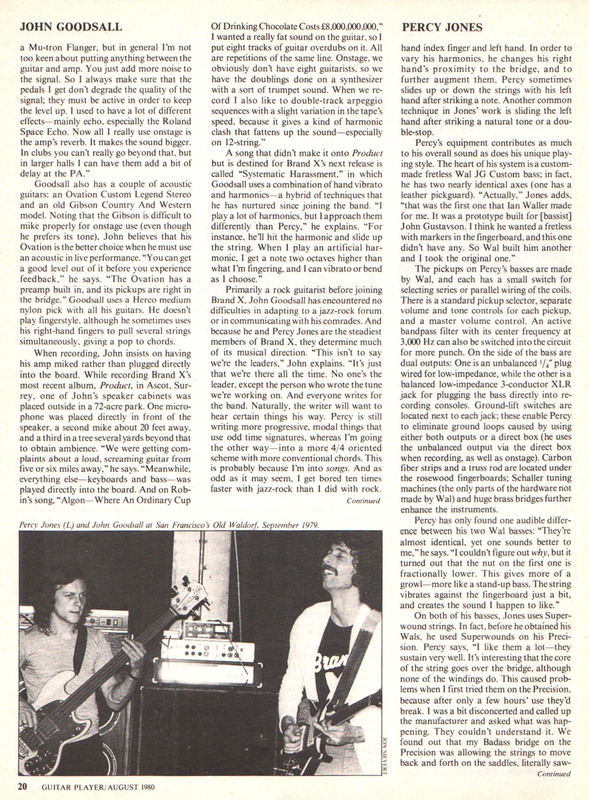 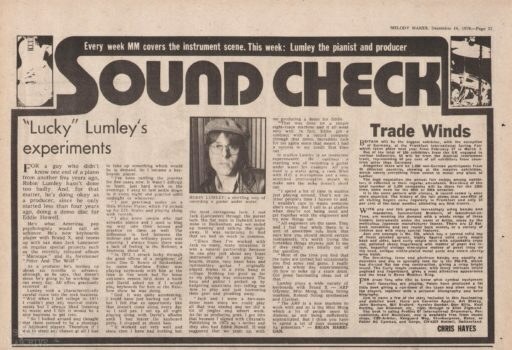 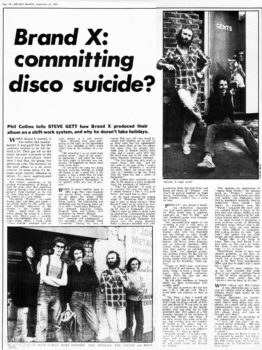 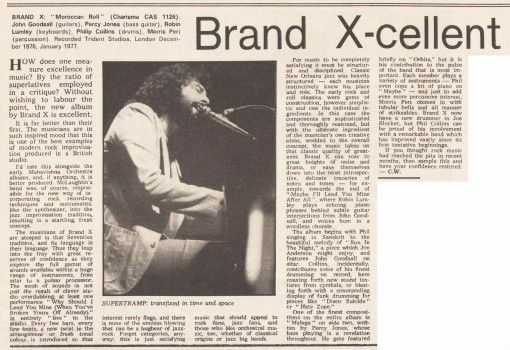 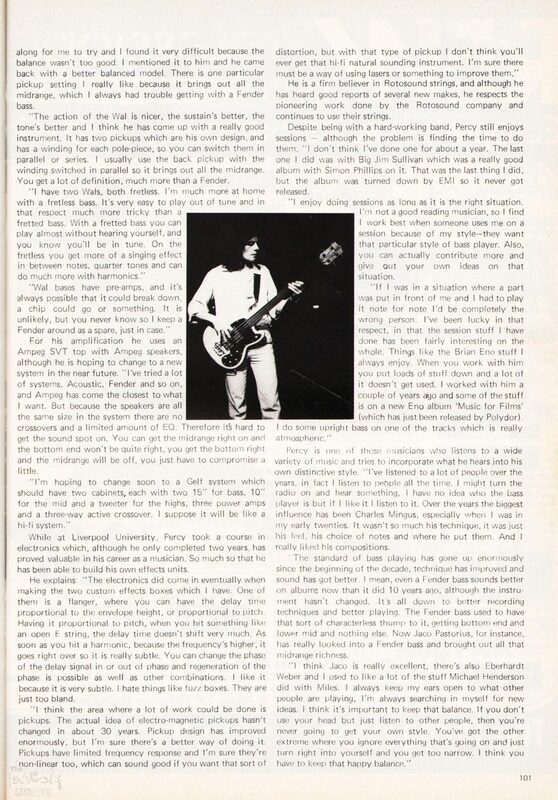 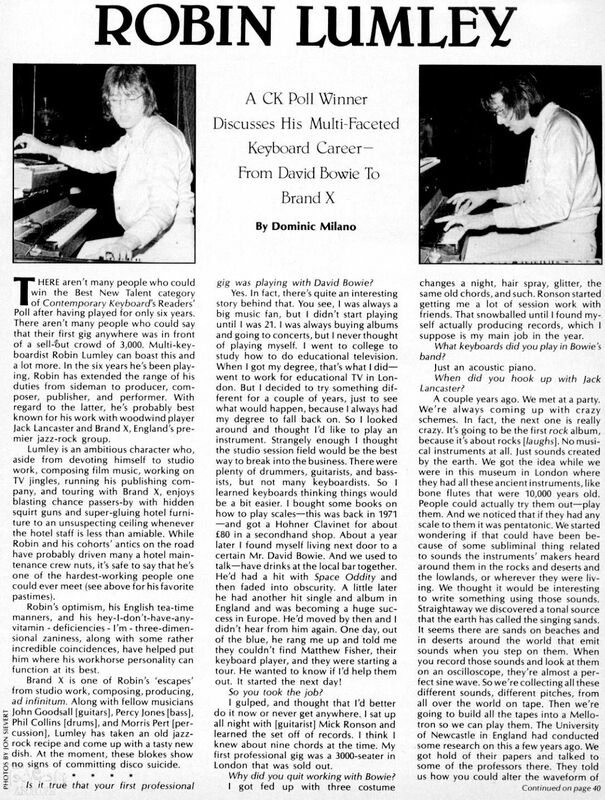 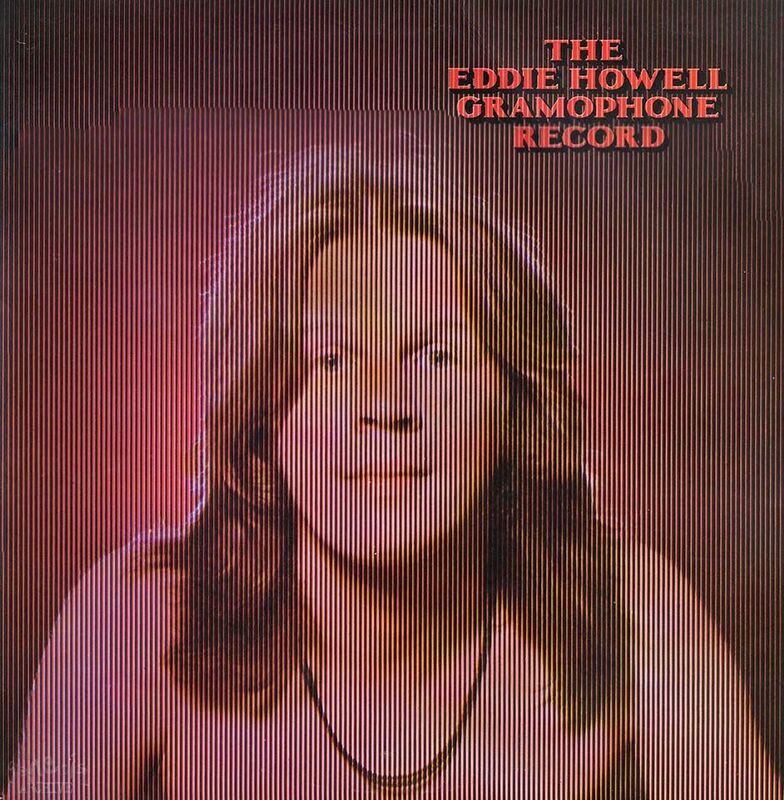 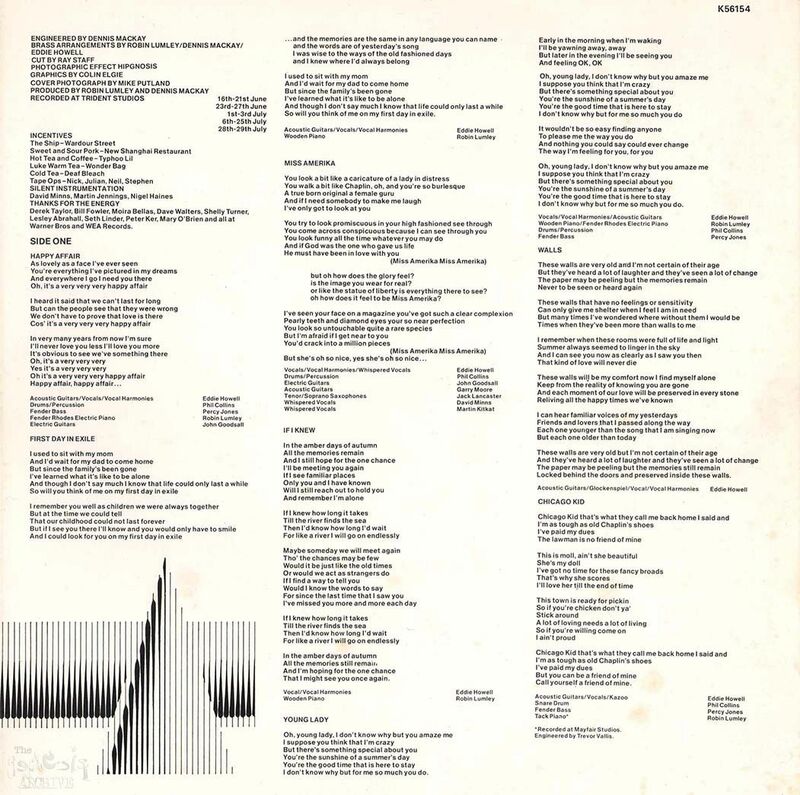 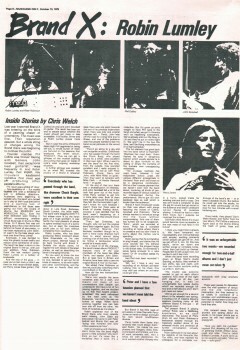 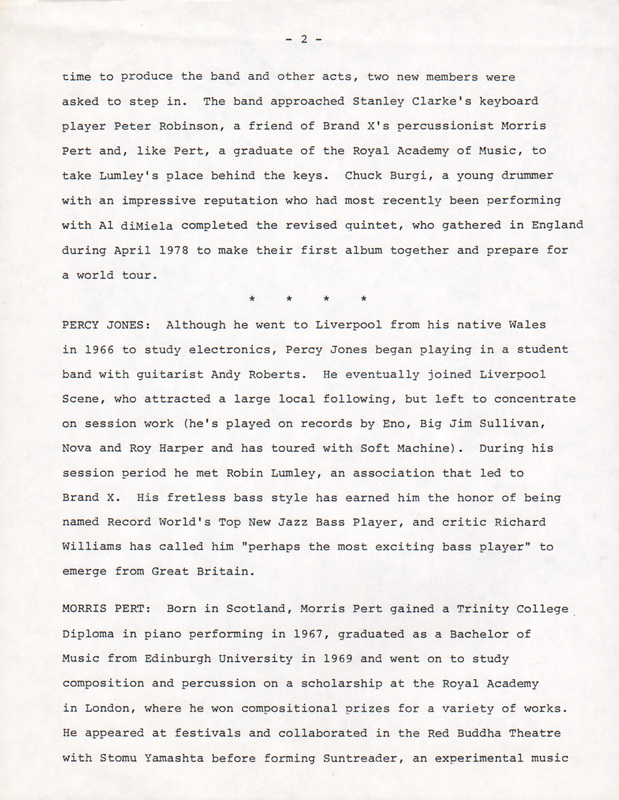 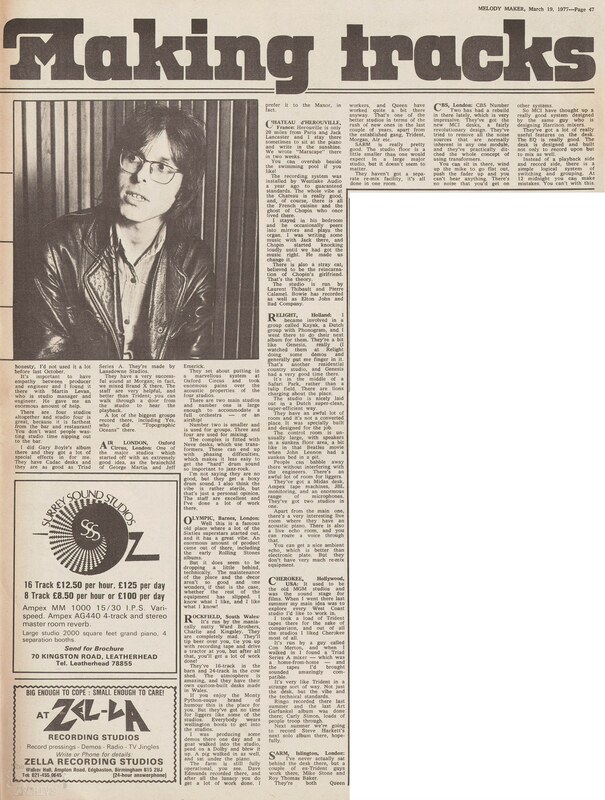 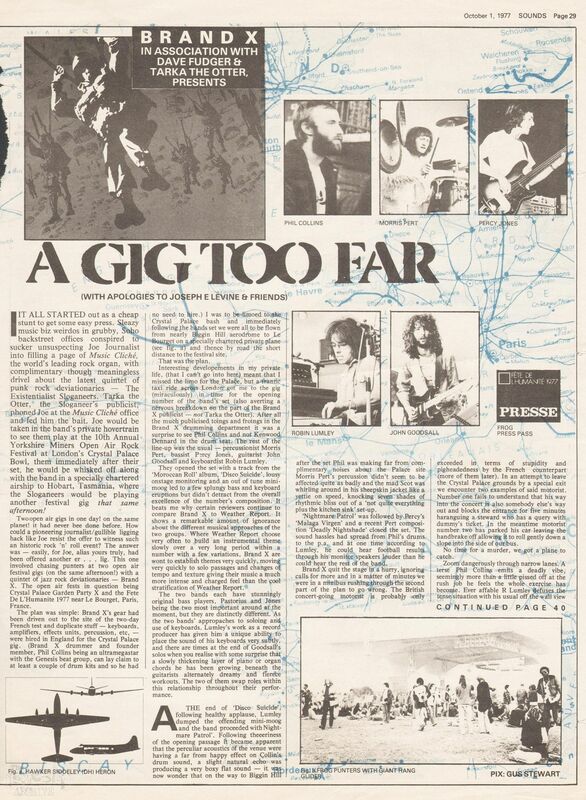 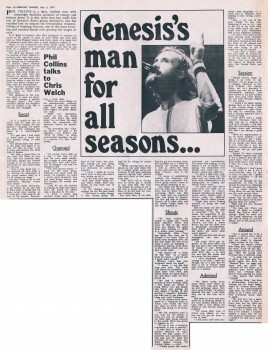 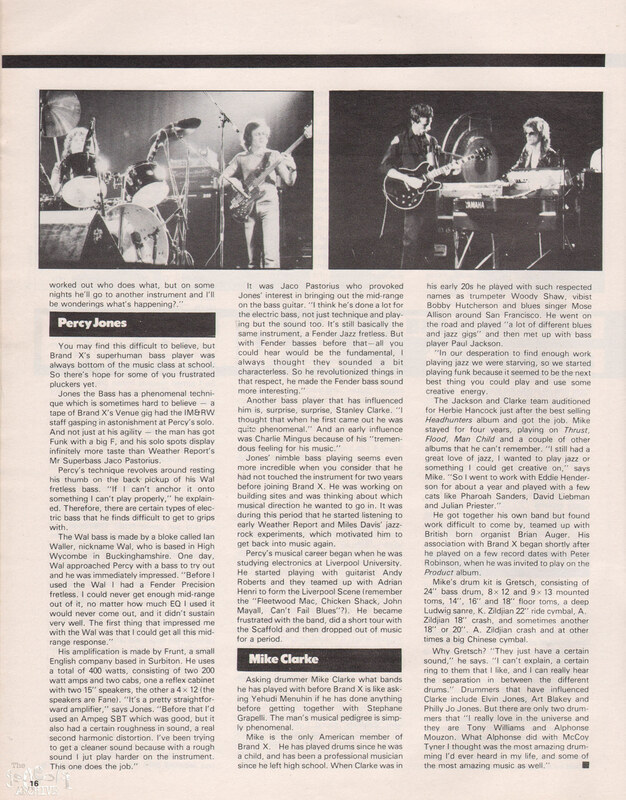 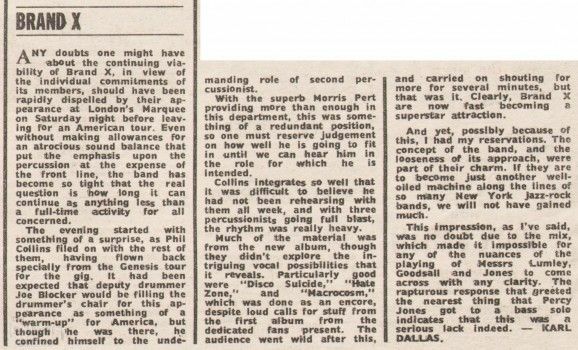 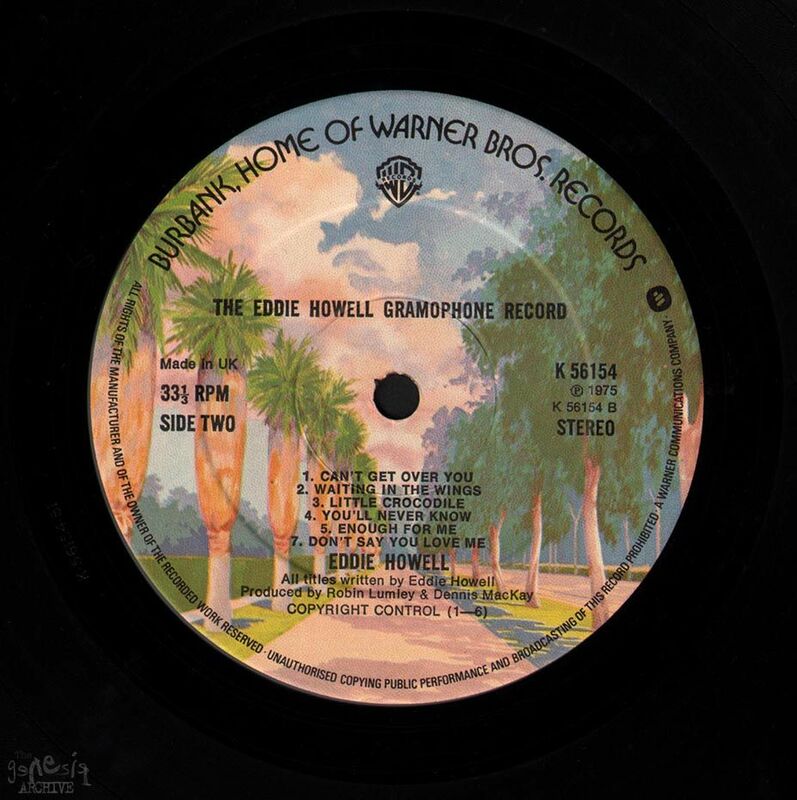 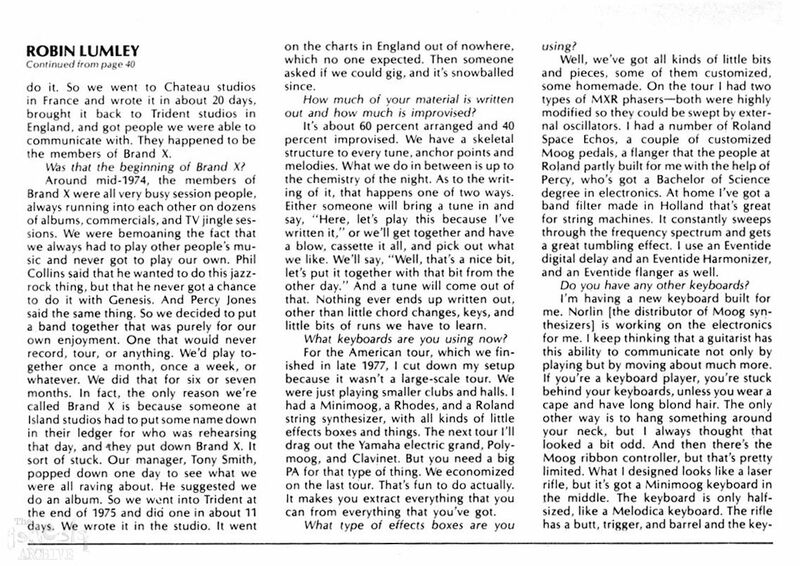 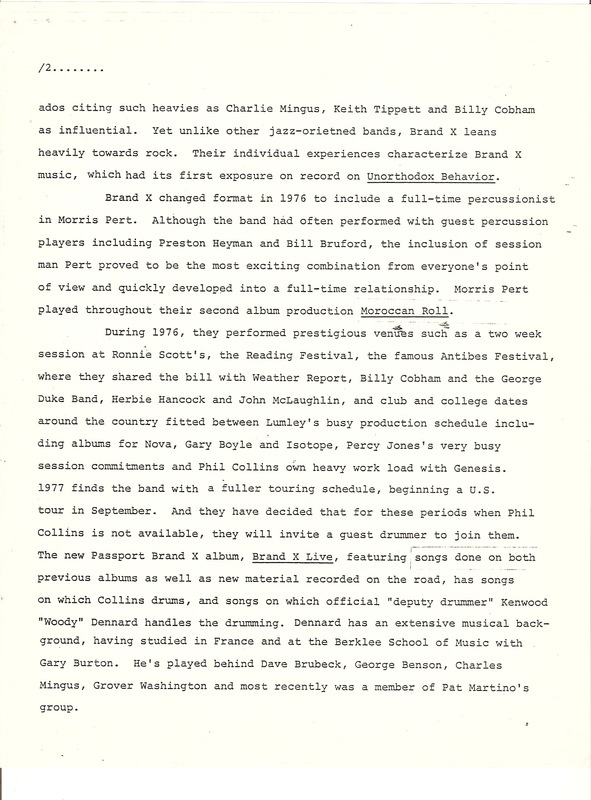 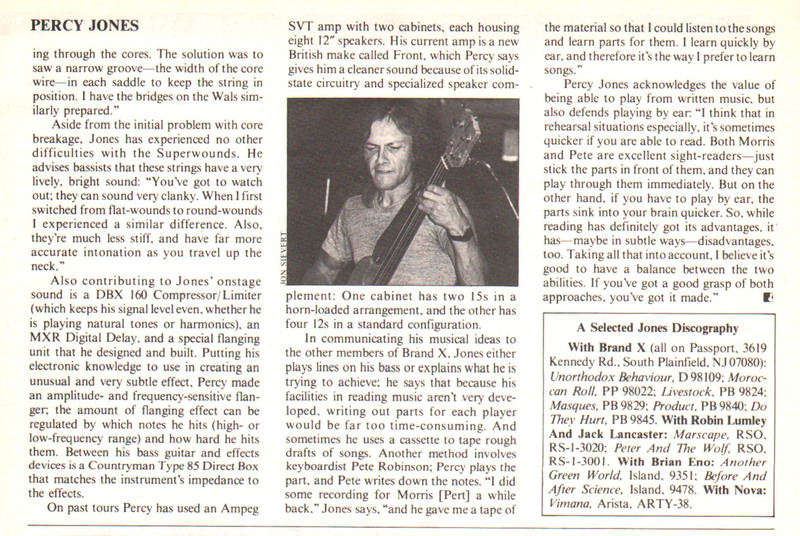 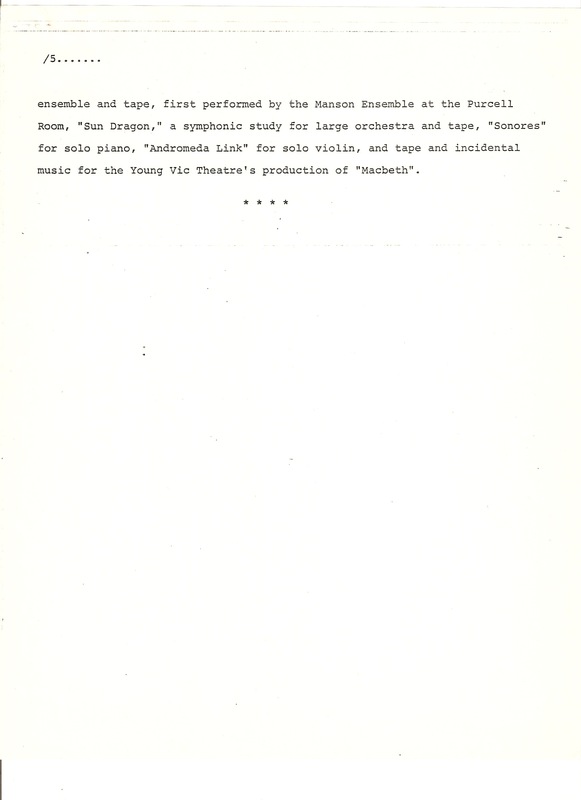 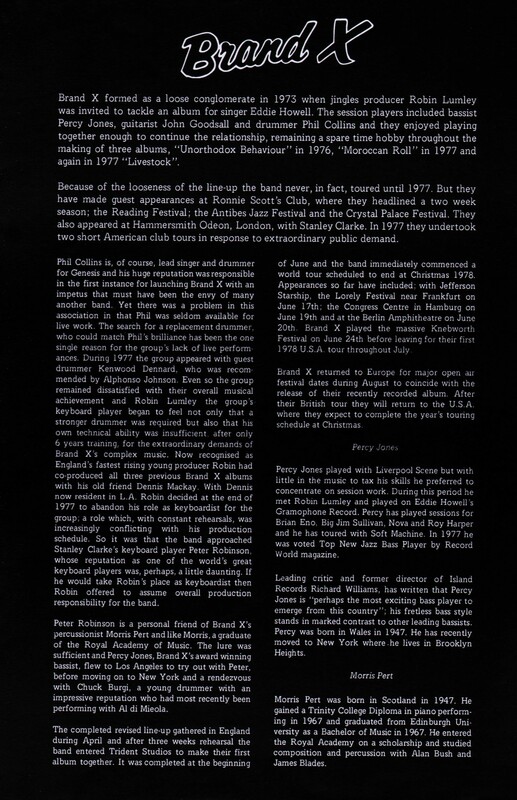 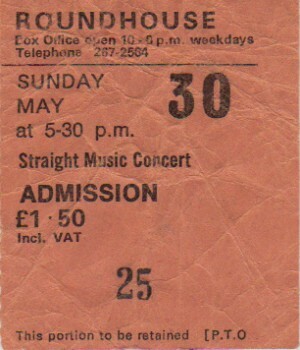 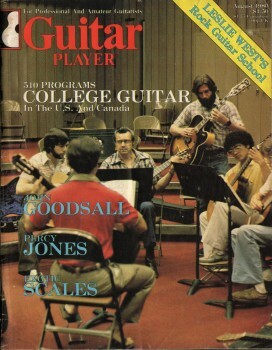 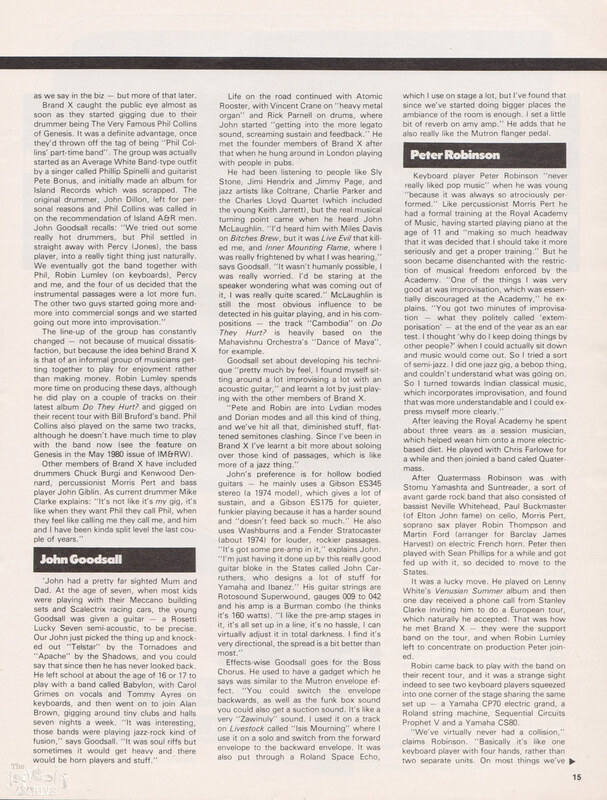 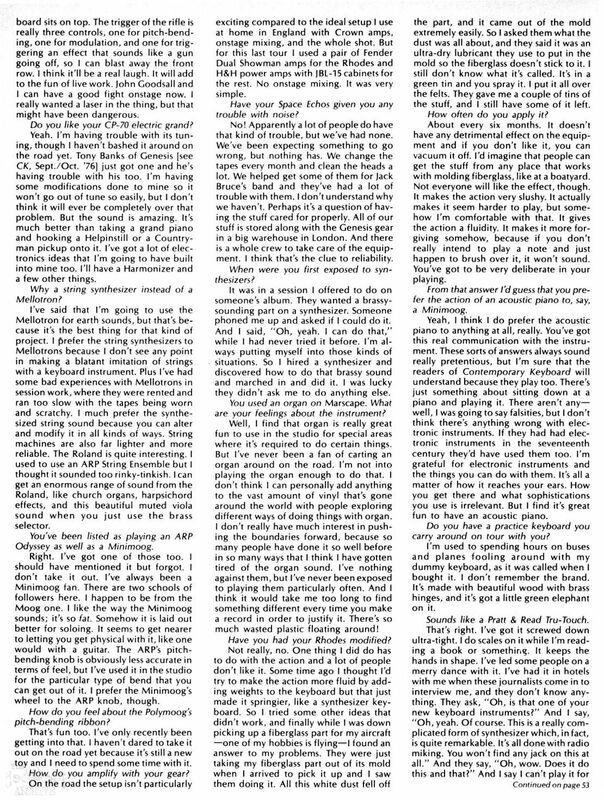 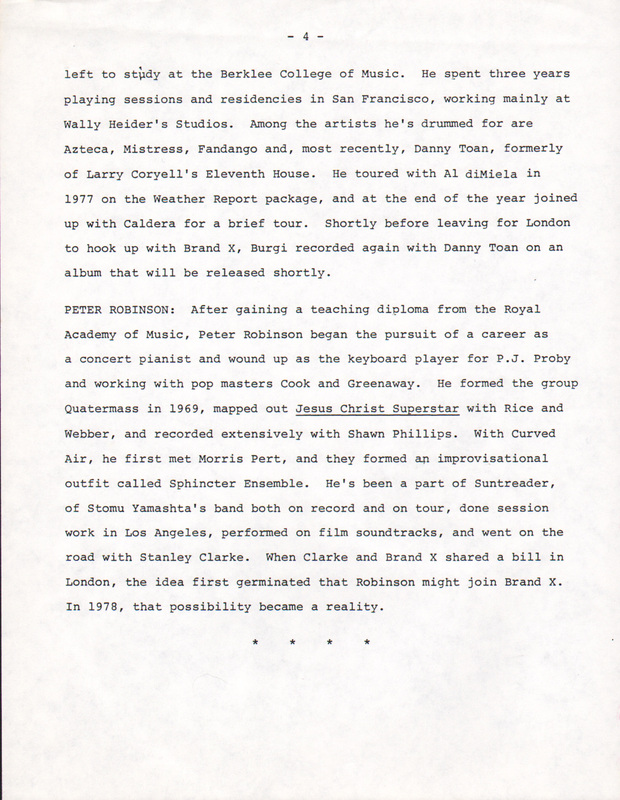 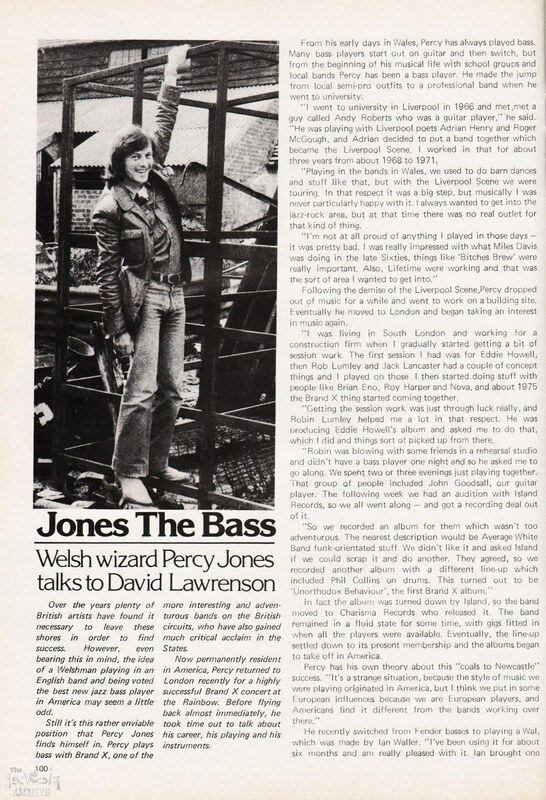 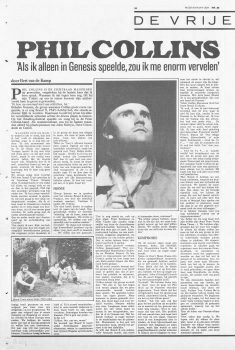 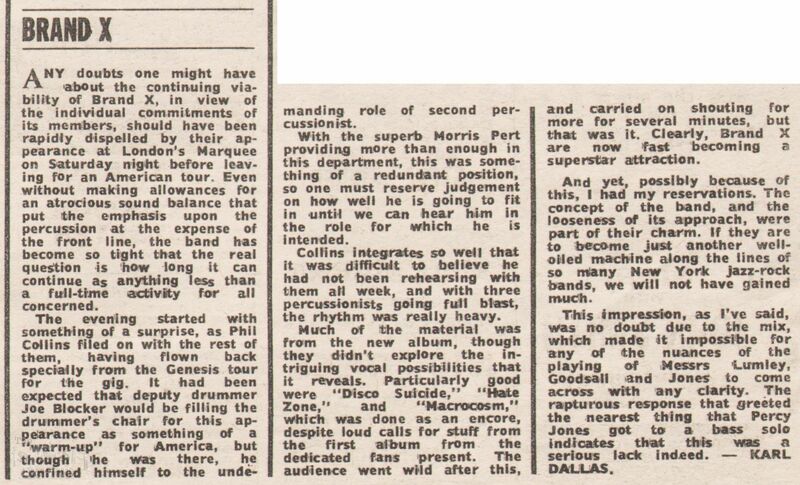 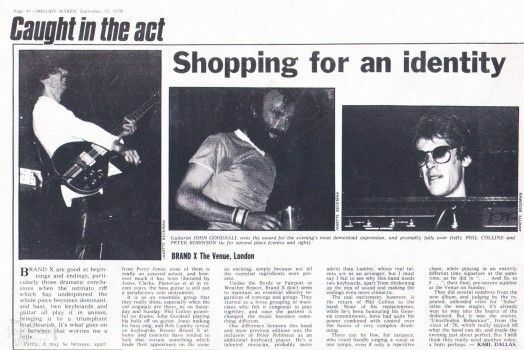 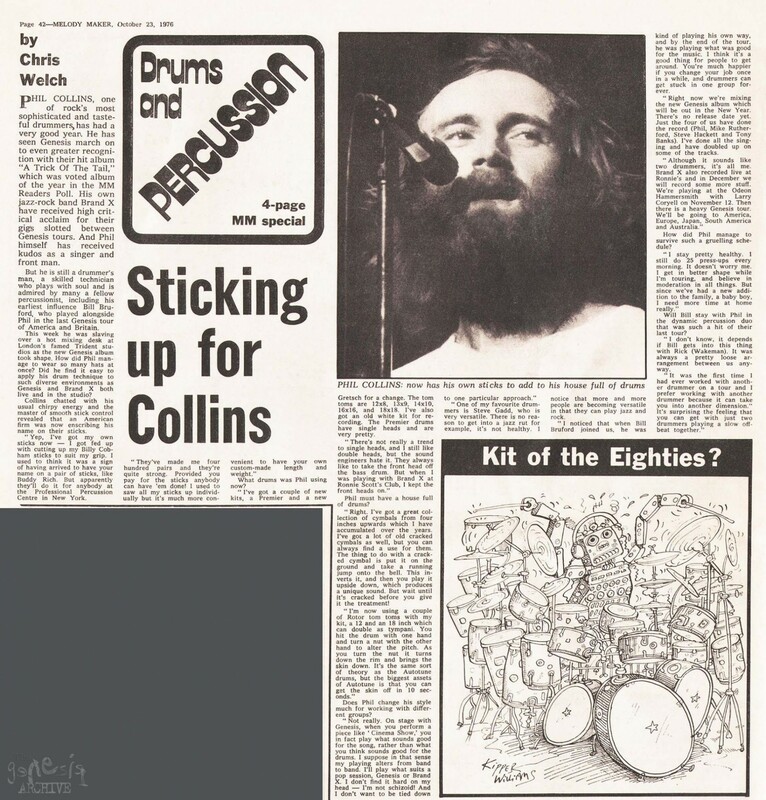 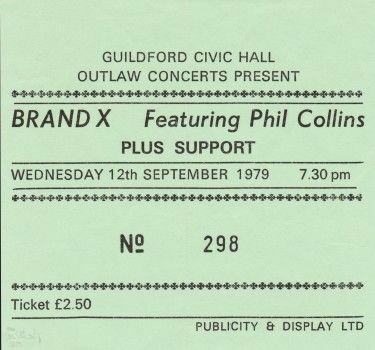 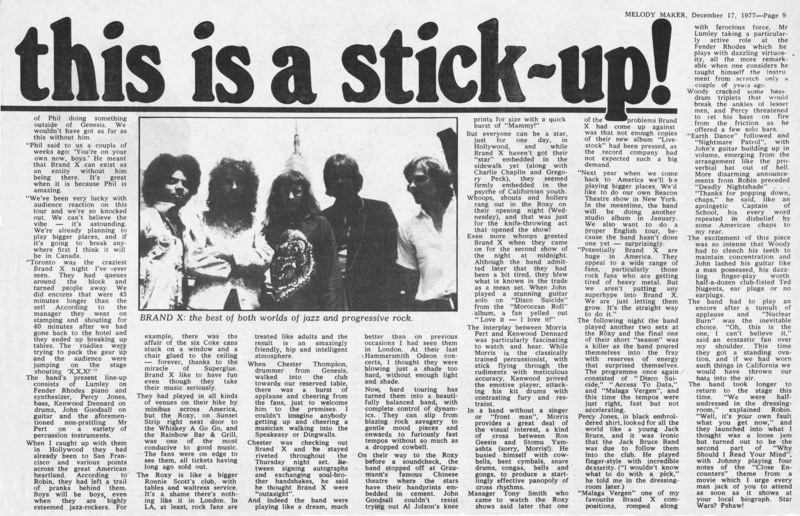 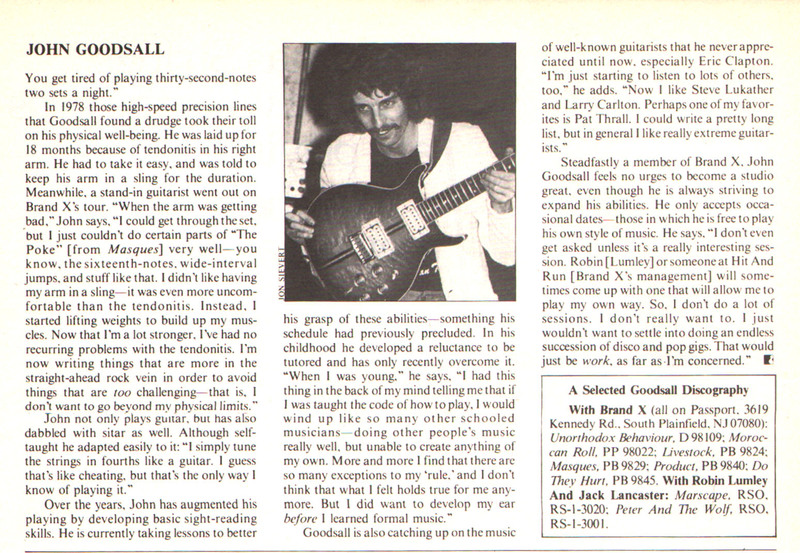 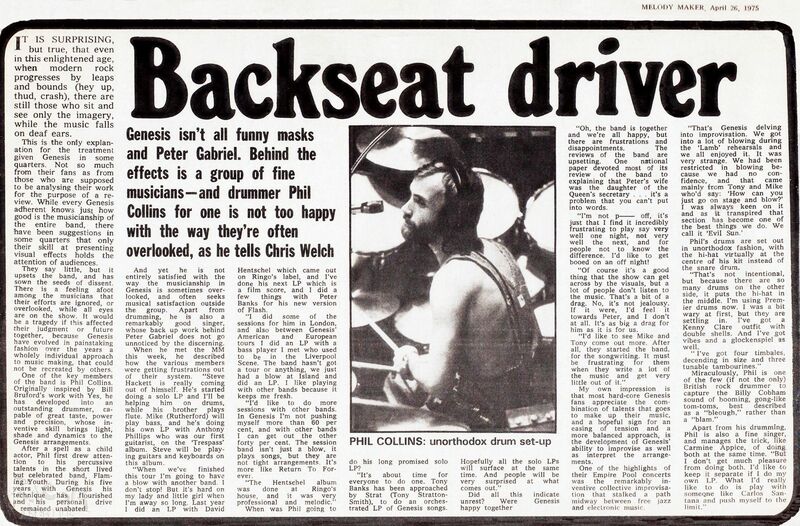 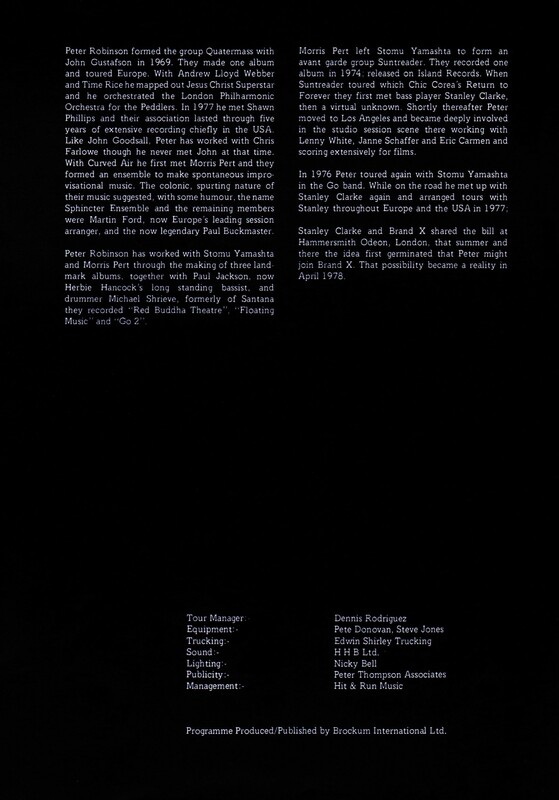 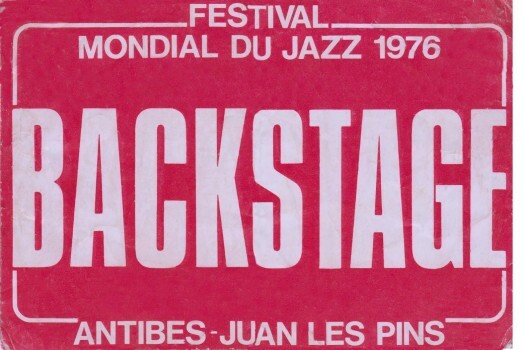 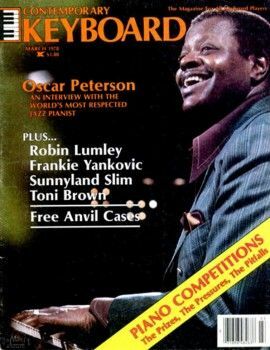 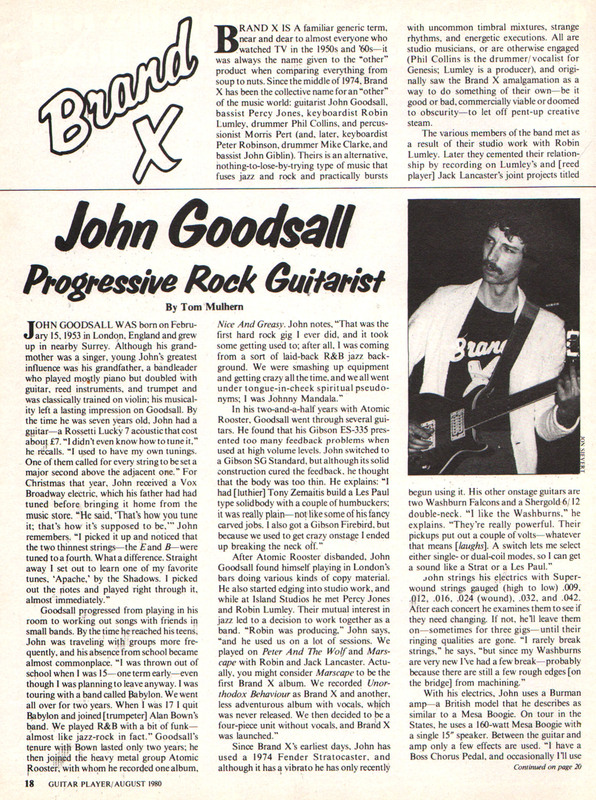 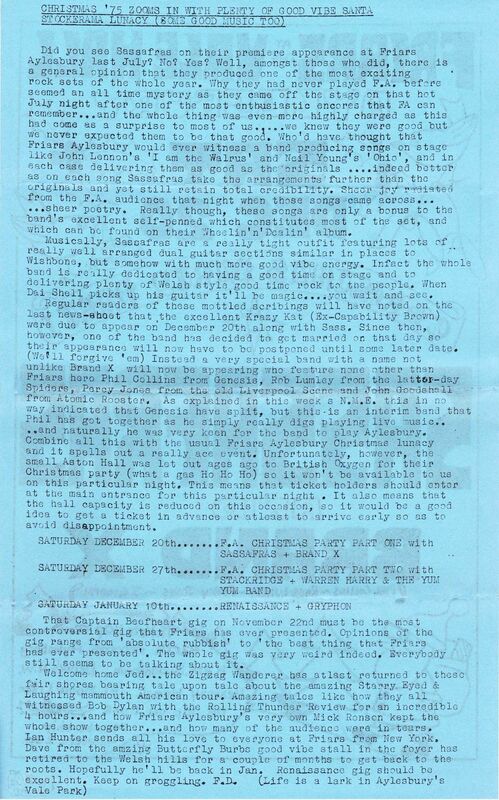 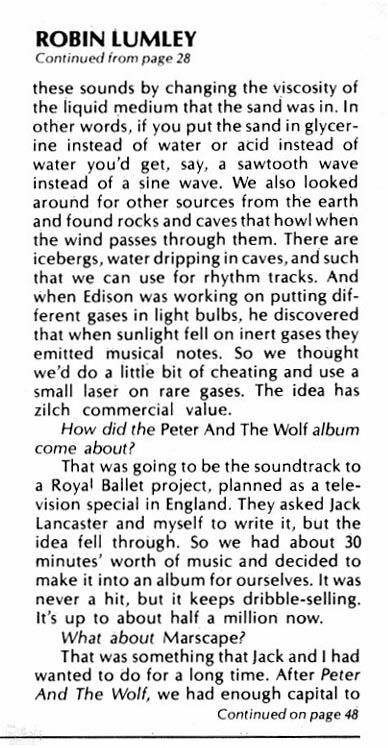 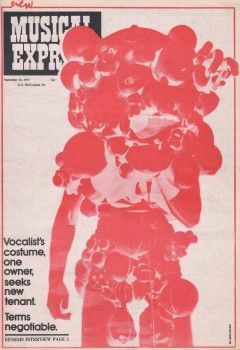 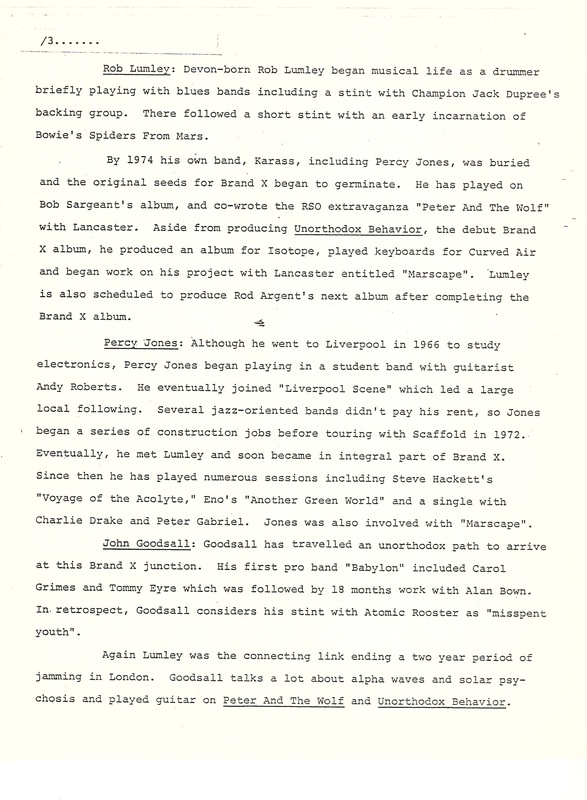 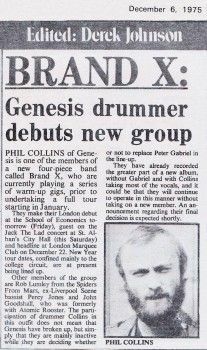 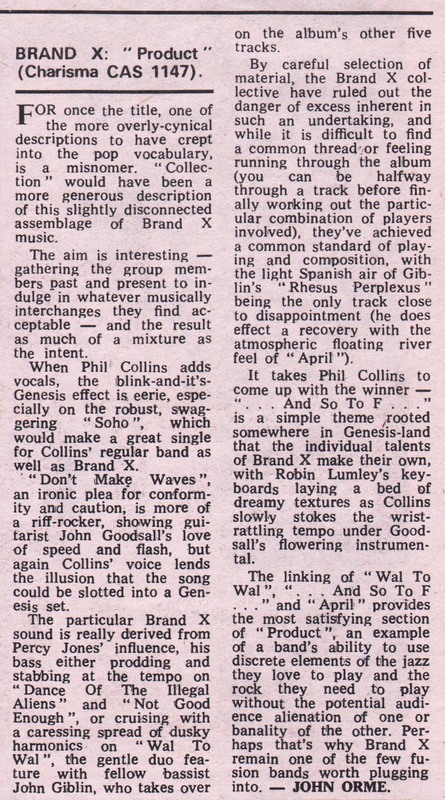 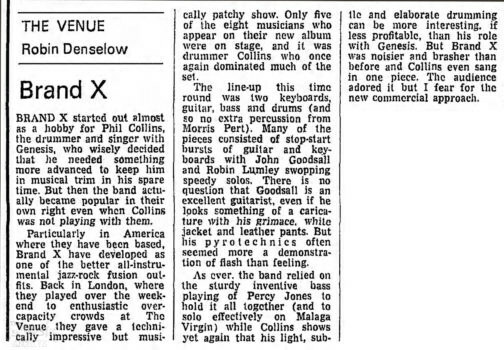 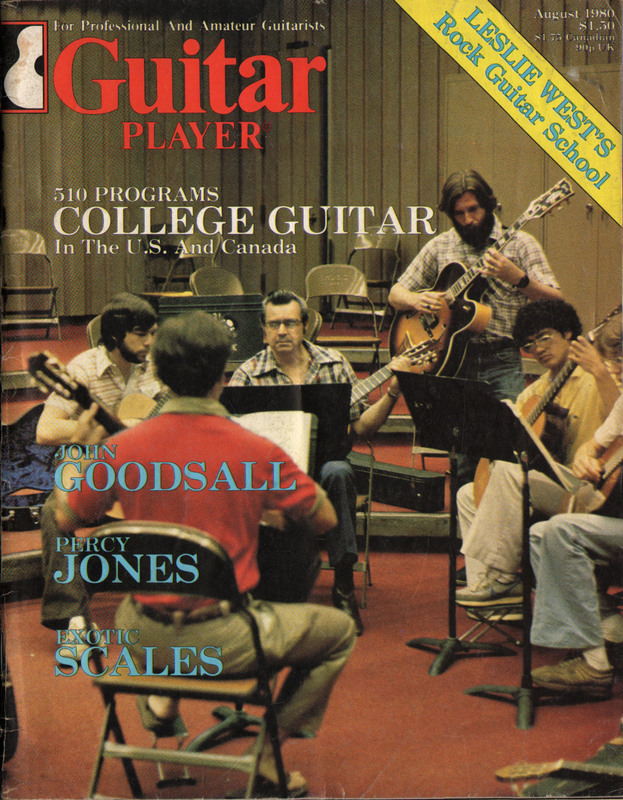 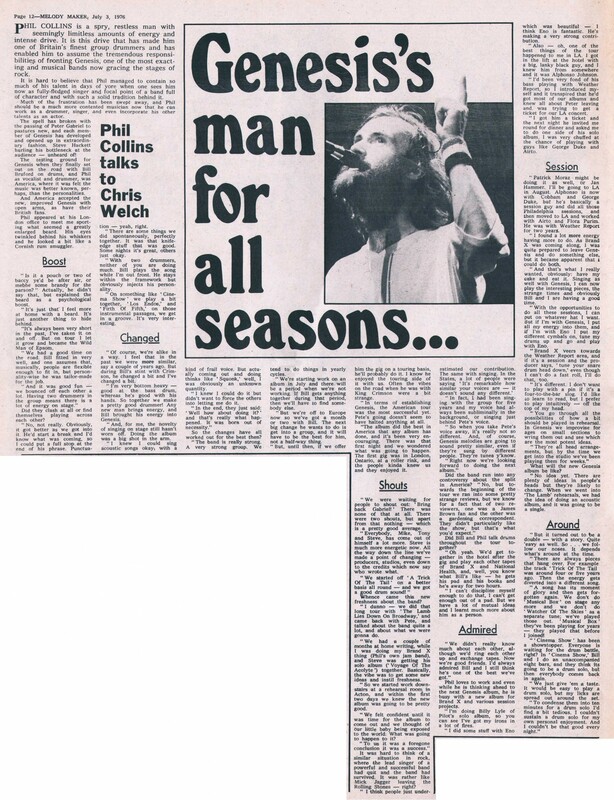 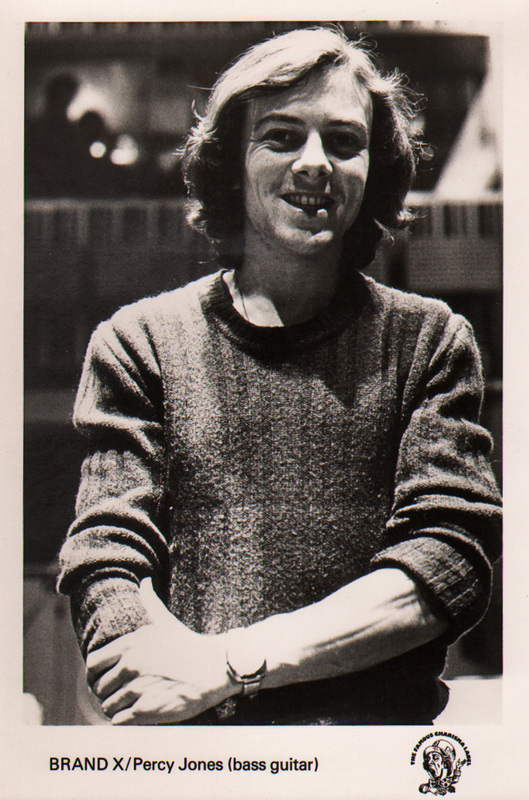 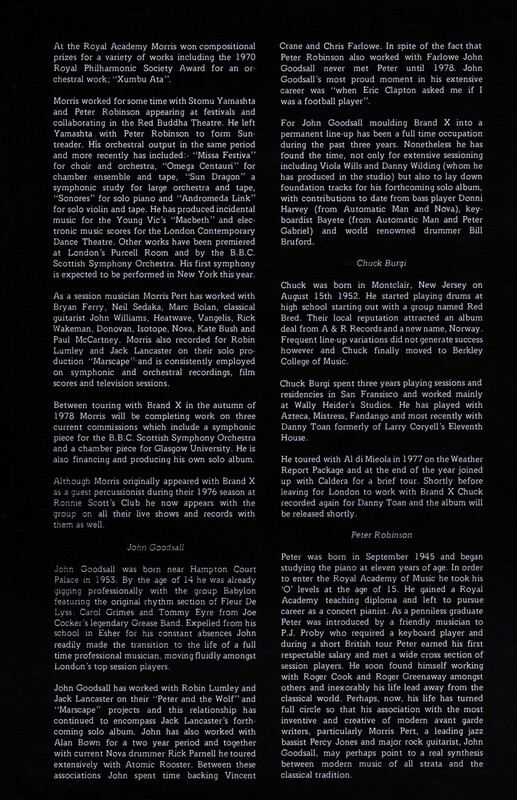 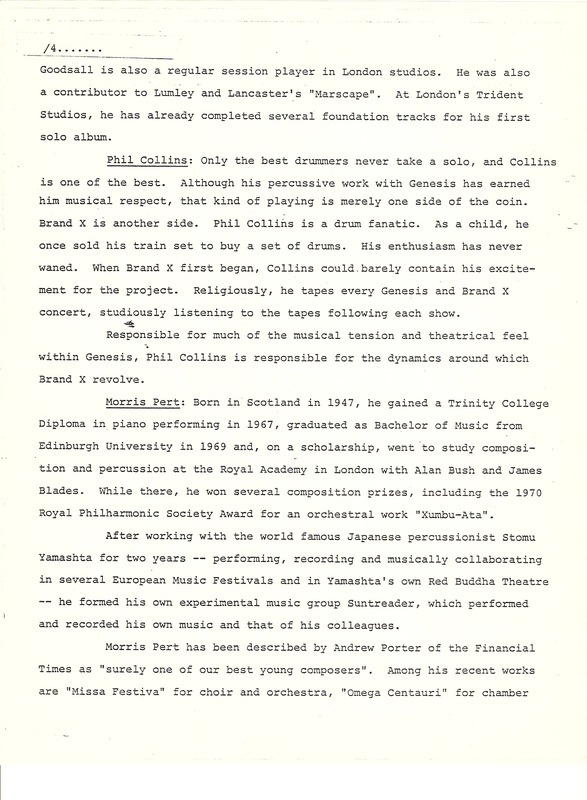 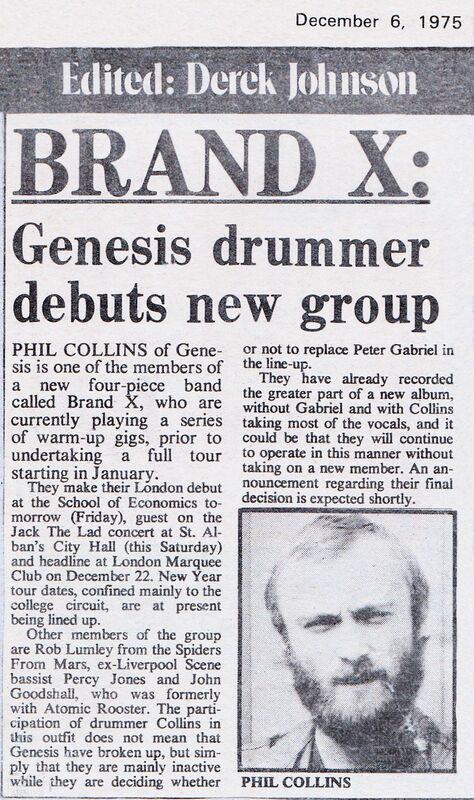 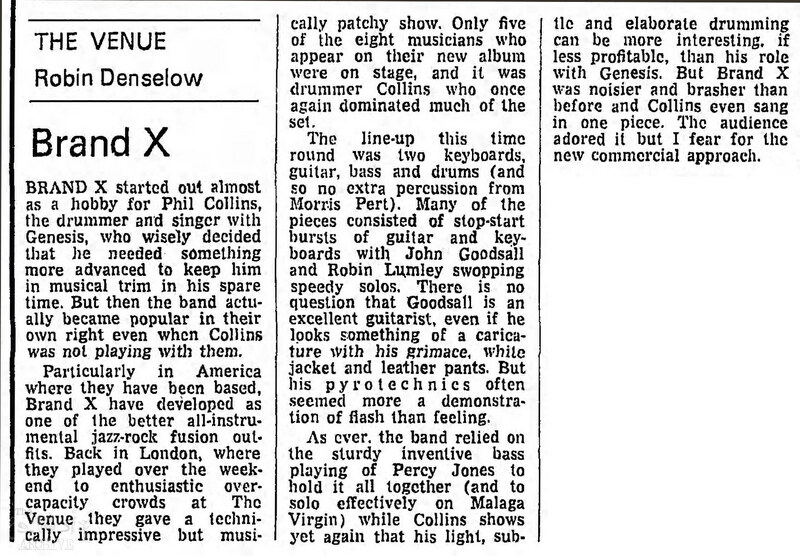 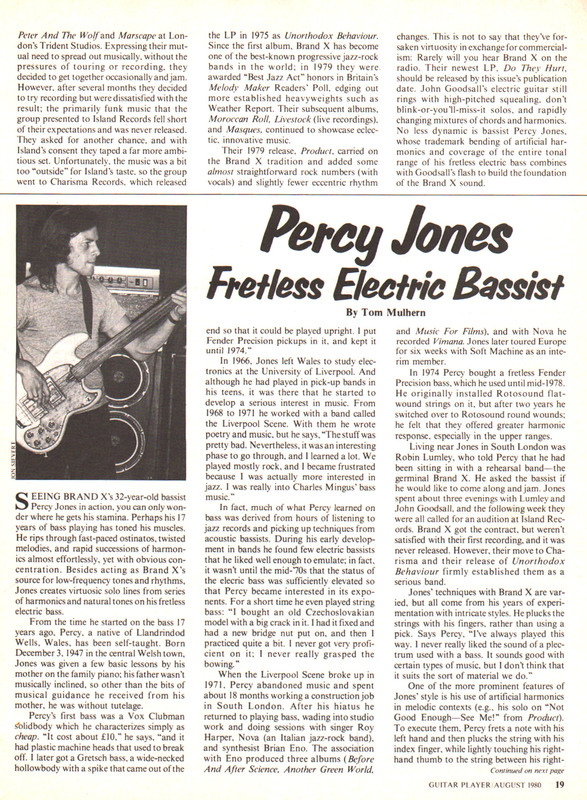 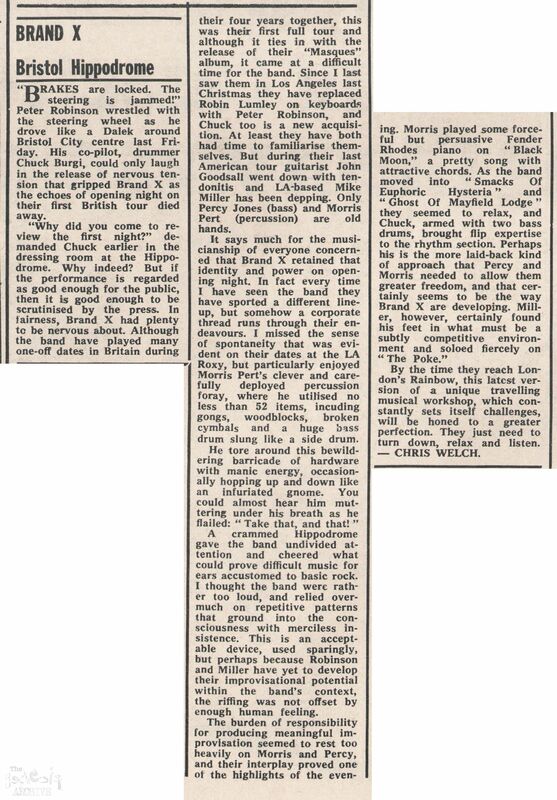 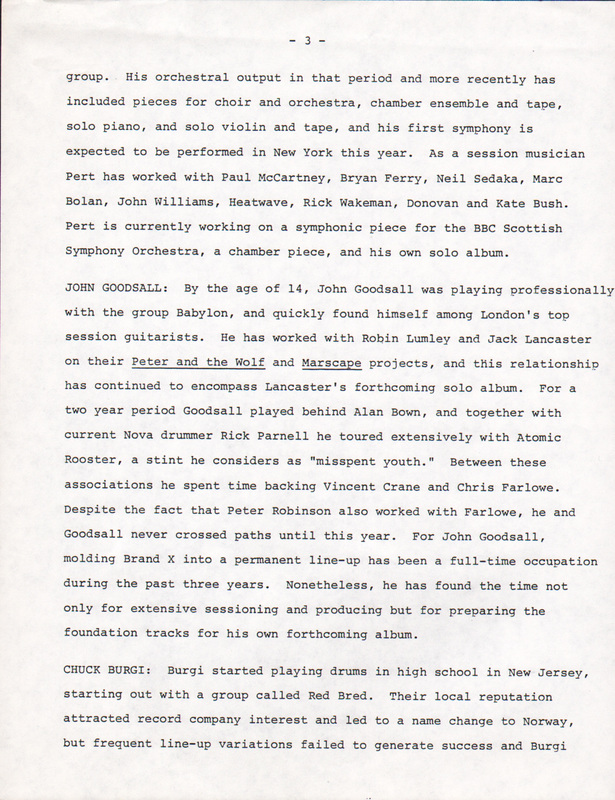 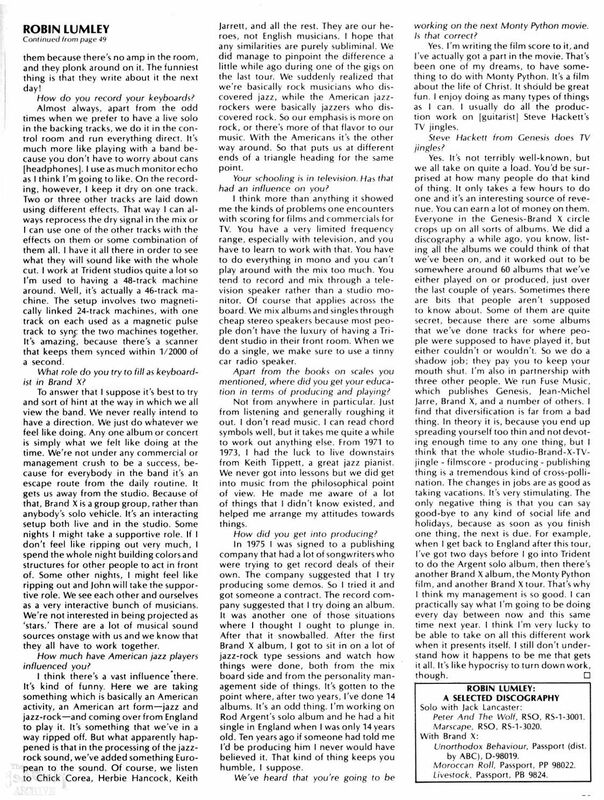 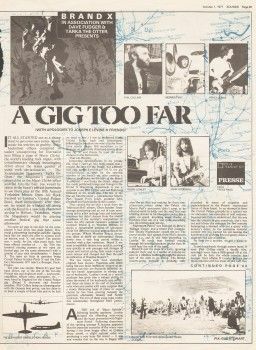 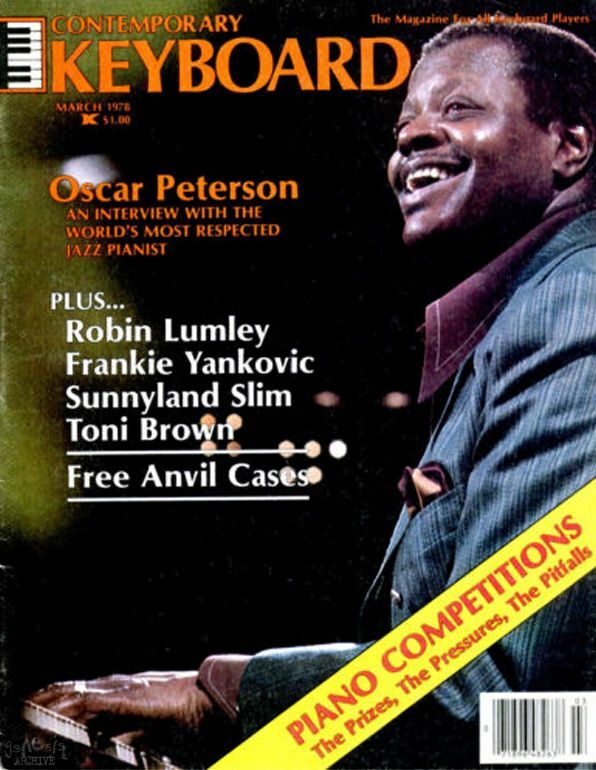 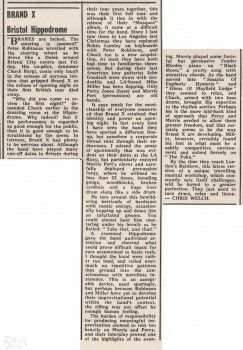 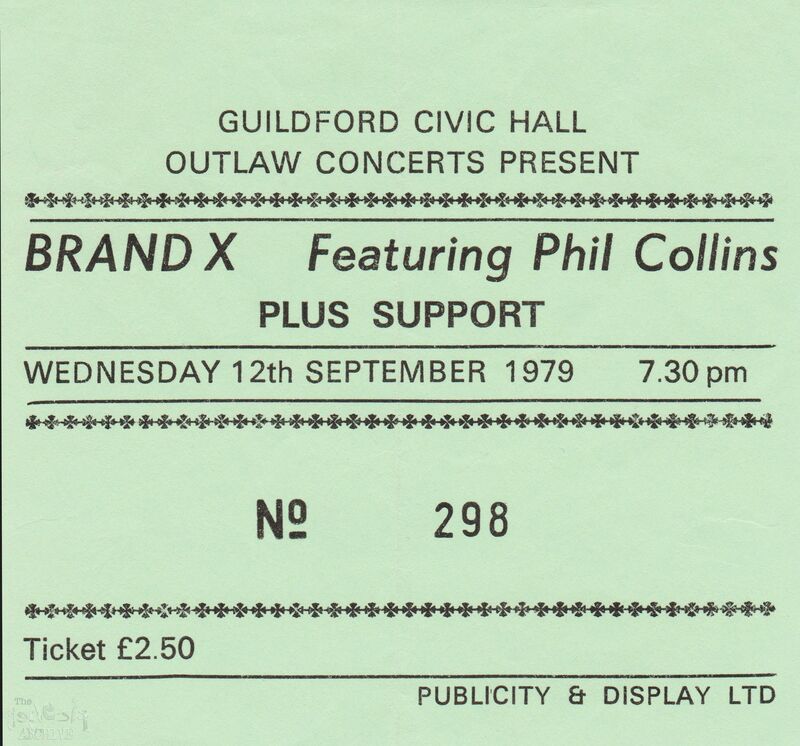 Item published in Sounds on the 9th April 1977. 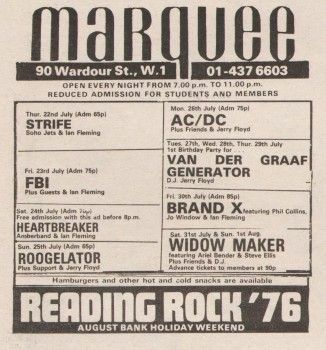 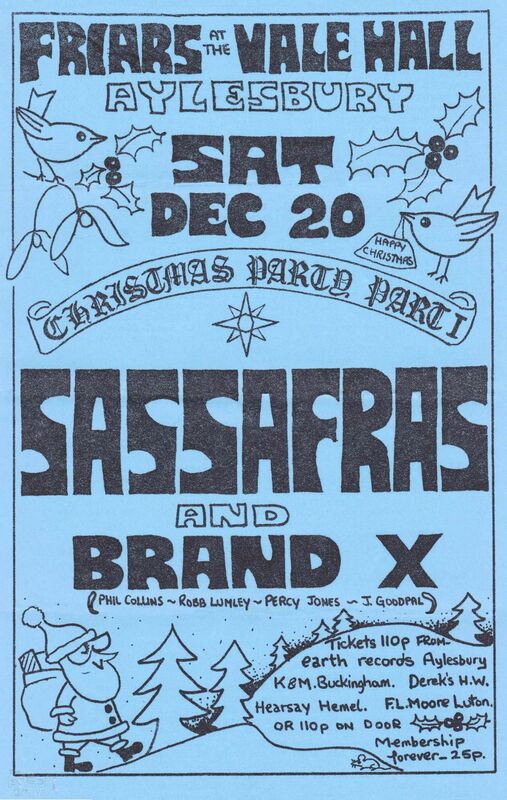 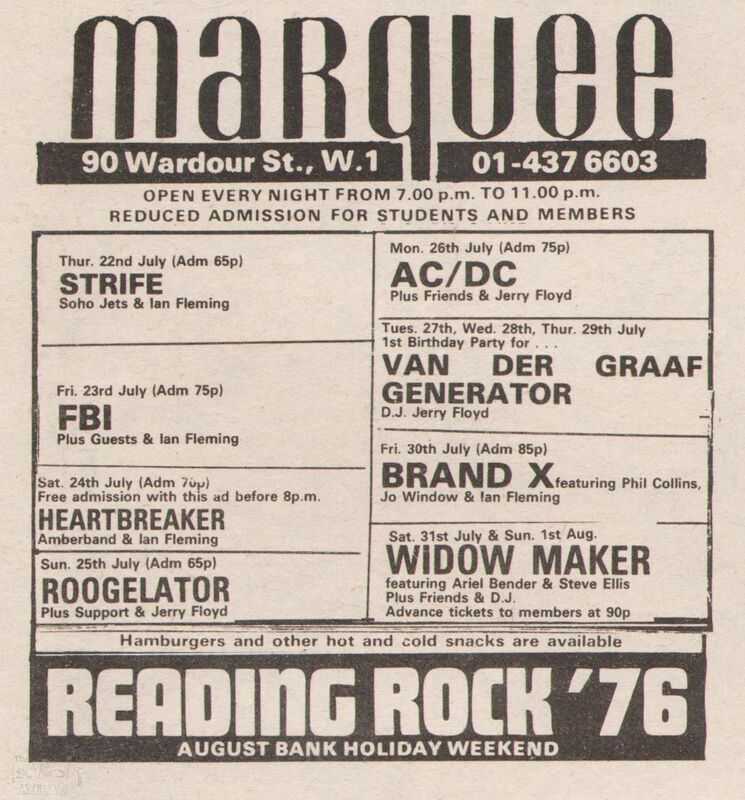 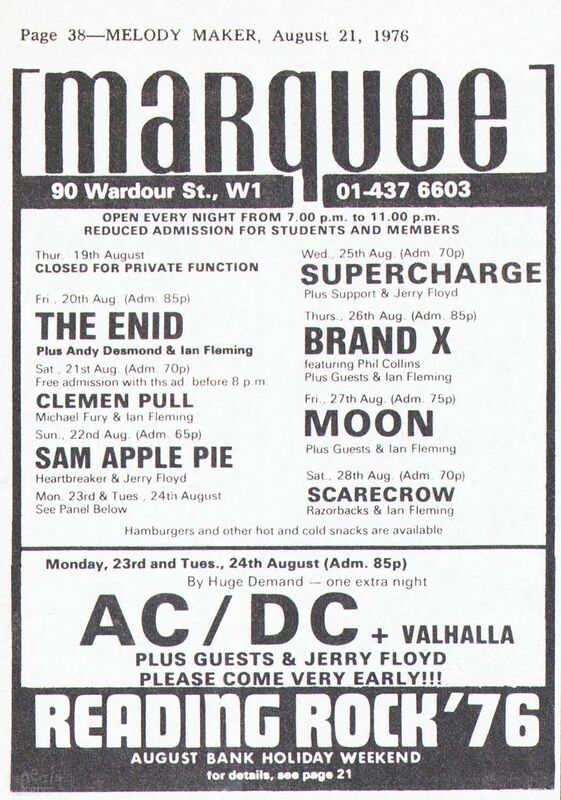 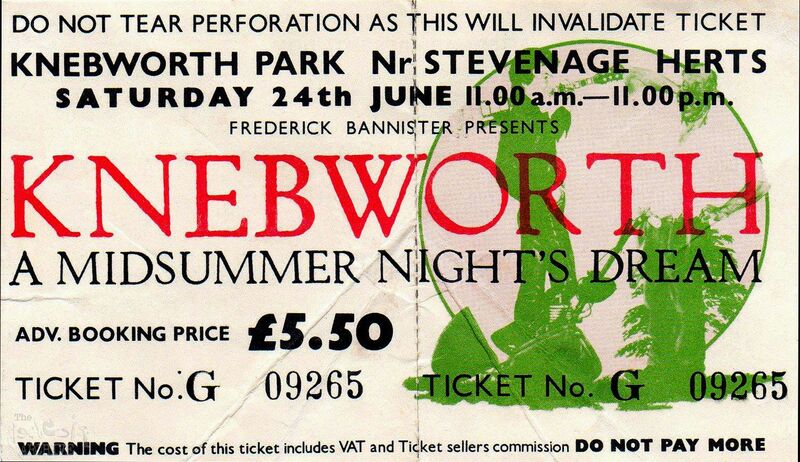 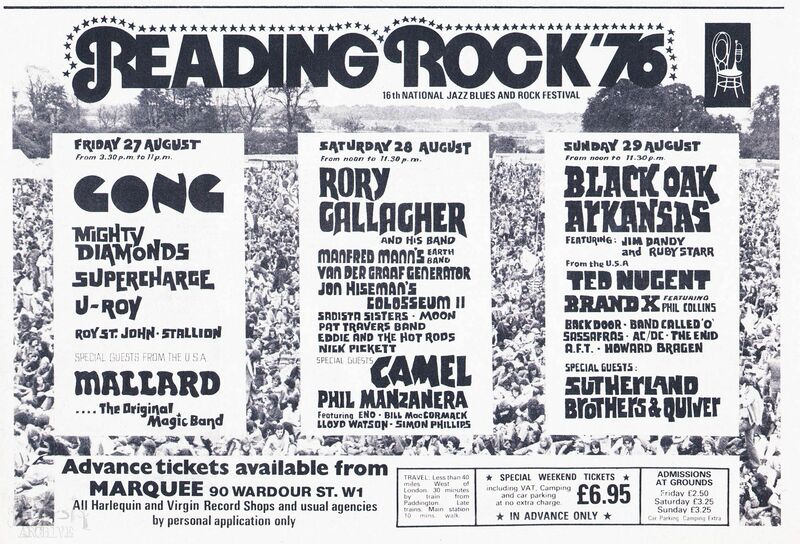 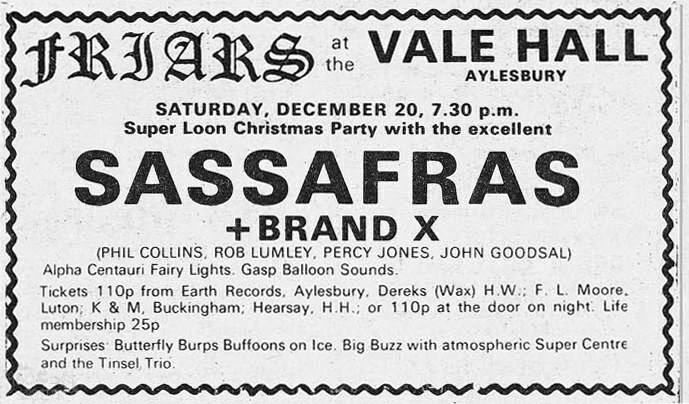 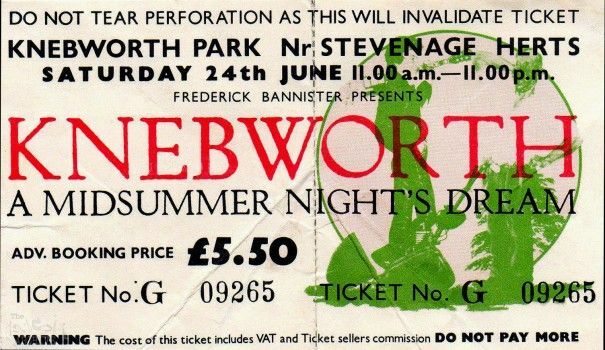 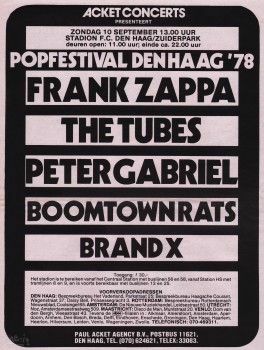 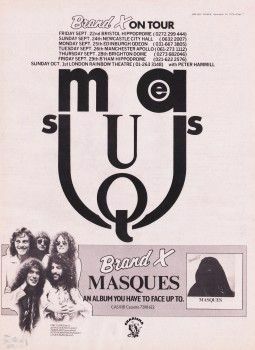 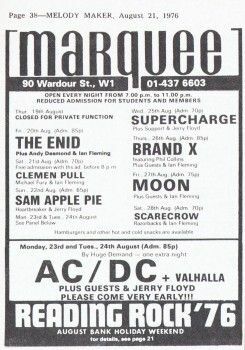 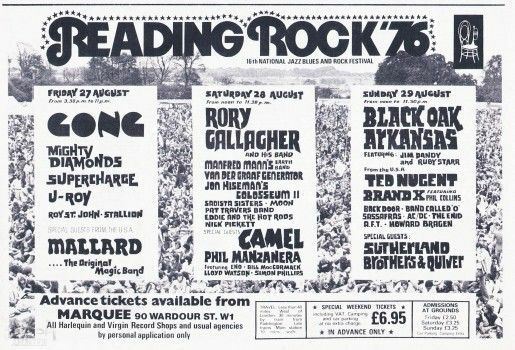 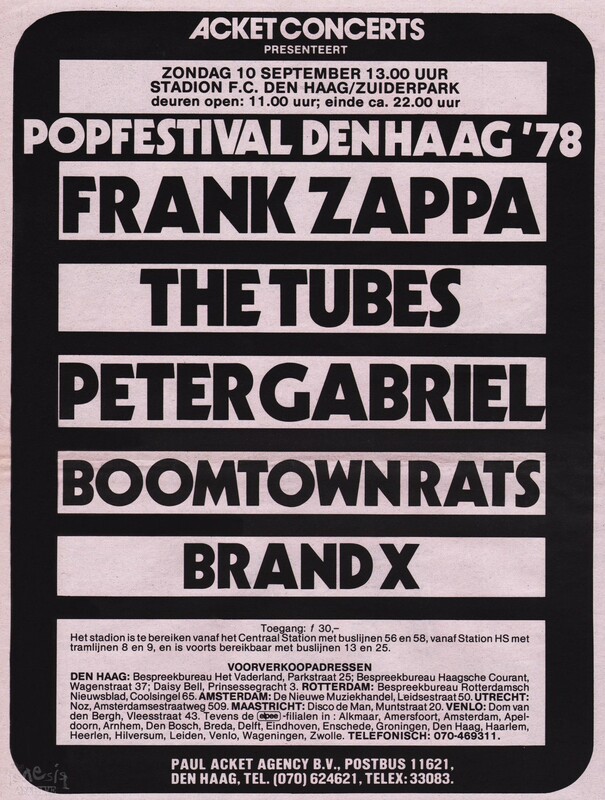 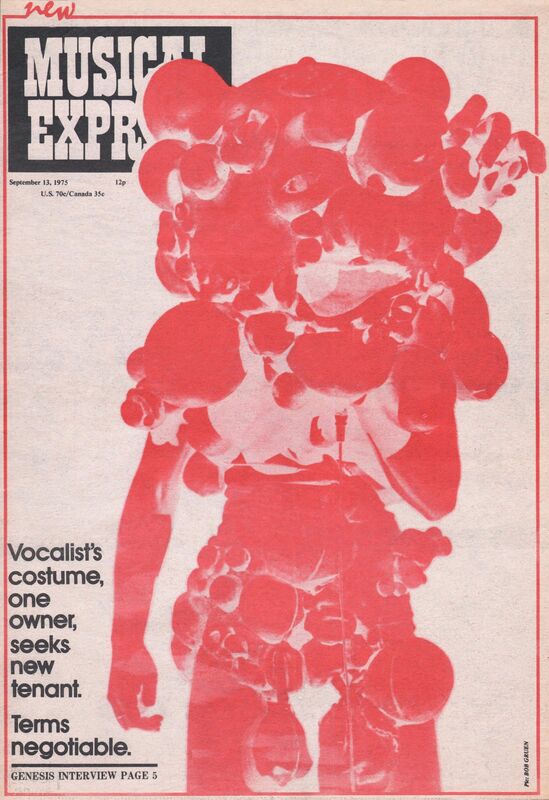 An advert for the gig at The Crystal Palace Garden party, advert printed in Melody Maker on the 3rd September 1977.